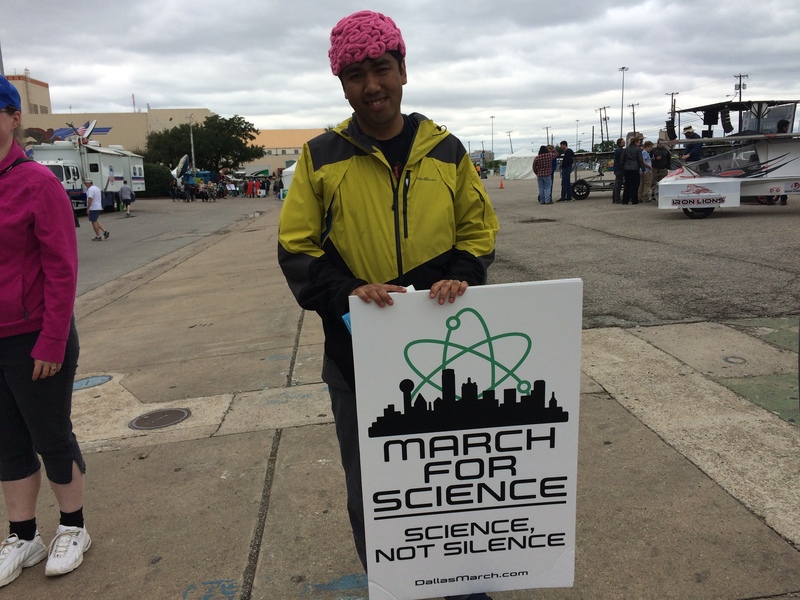 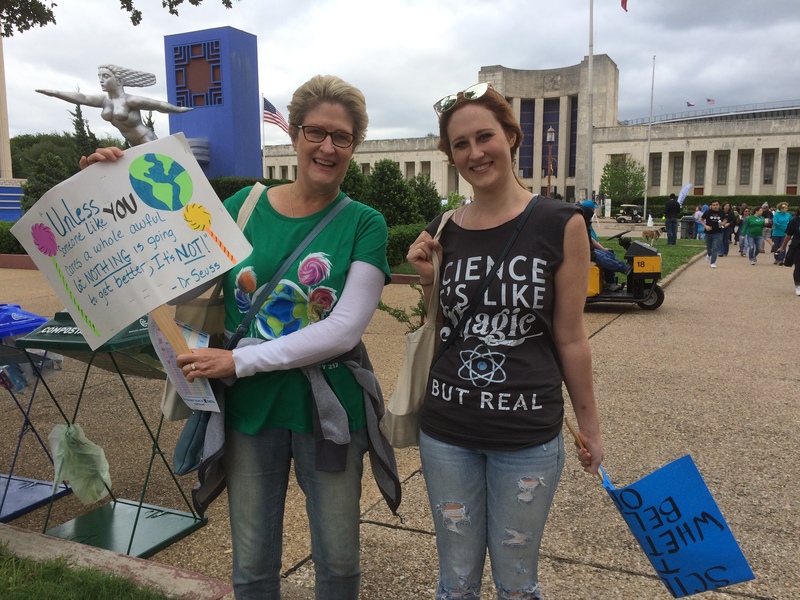 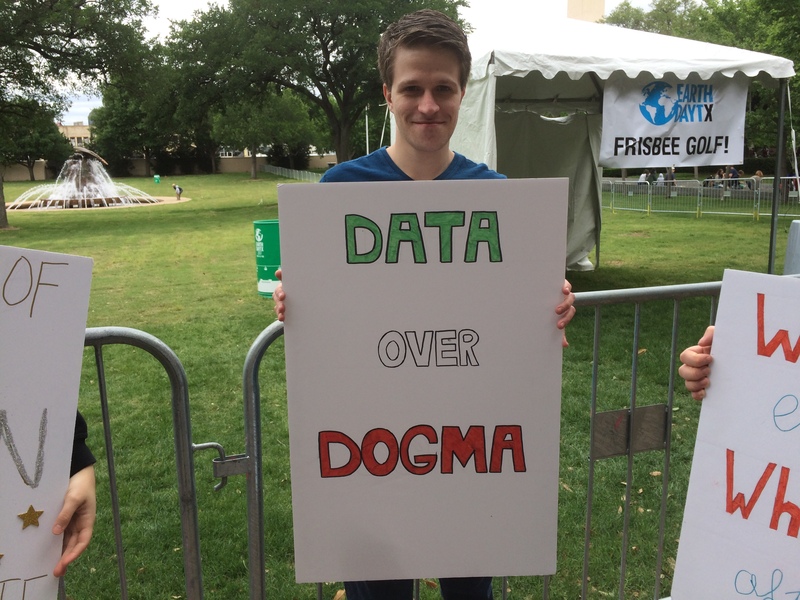 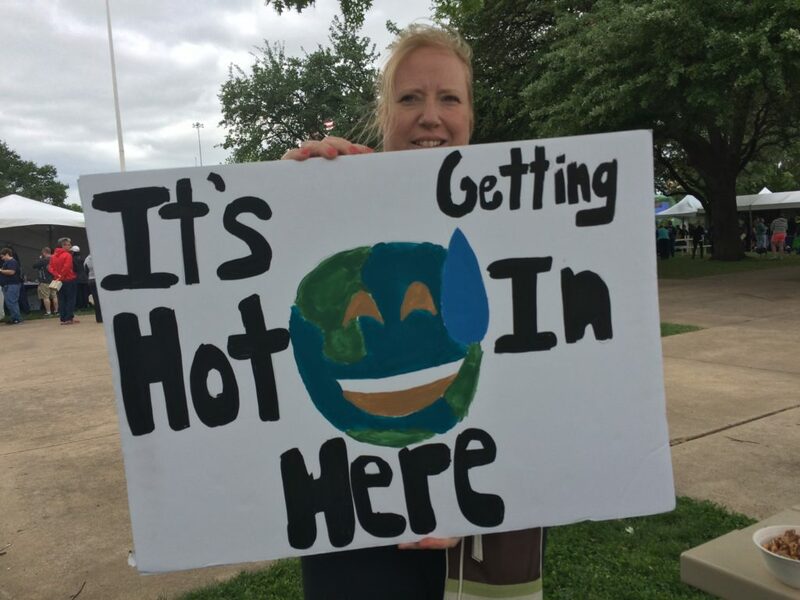 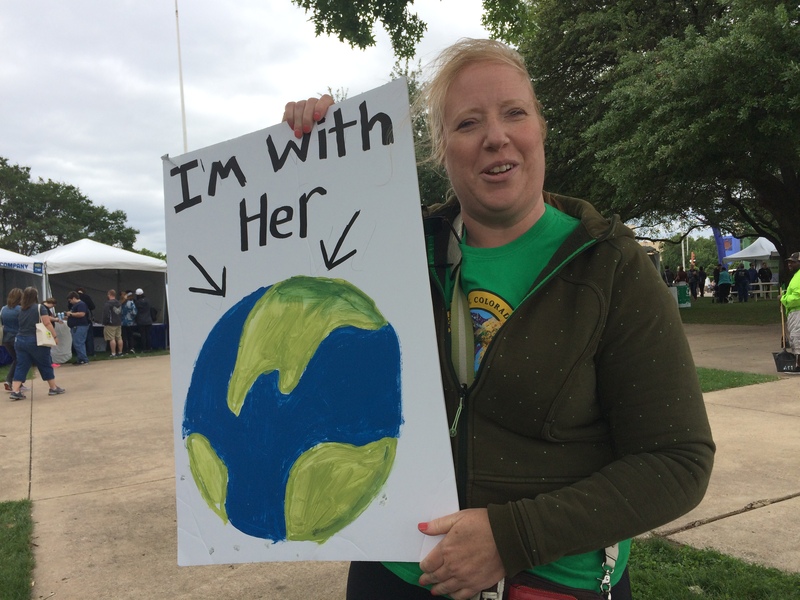 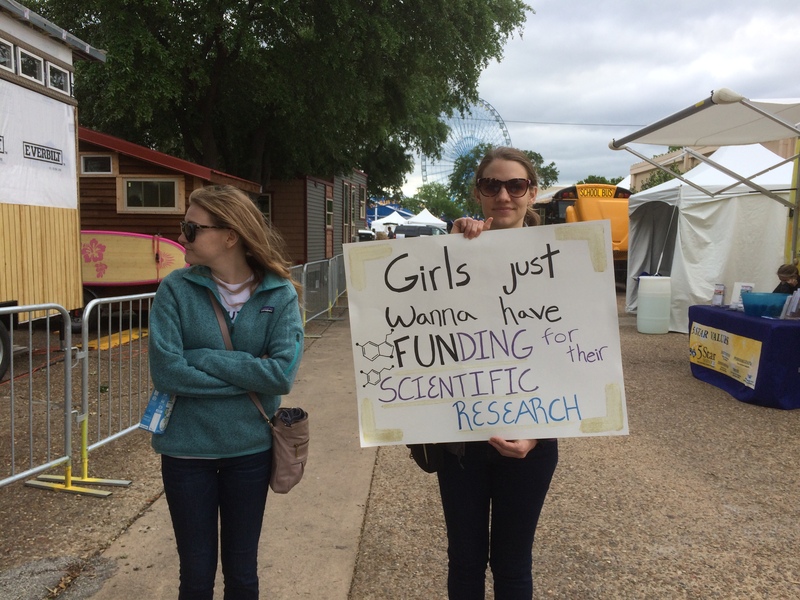 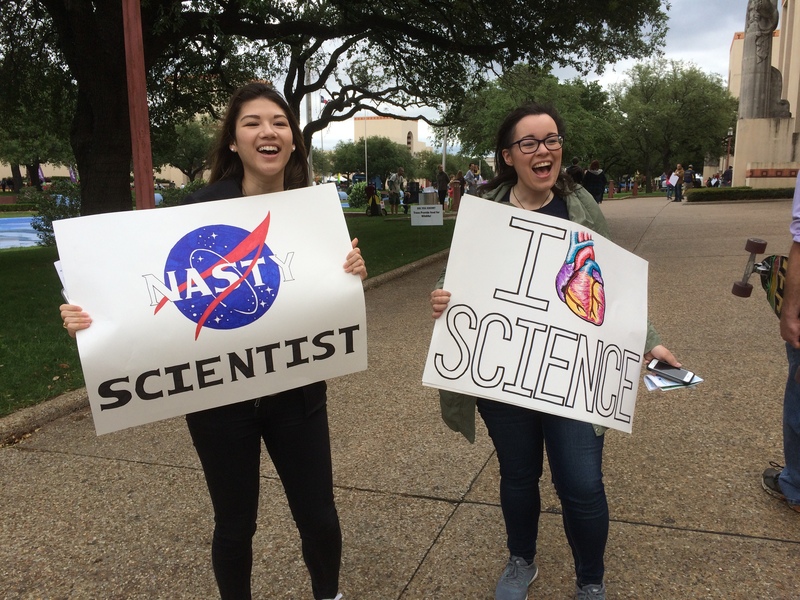 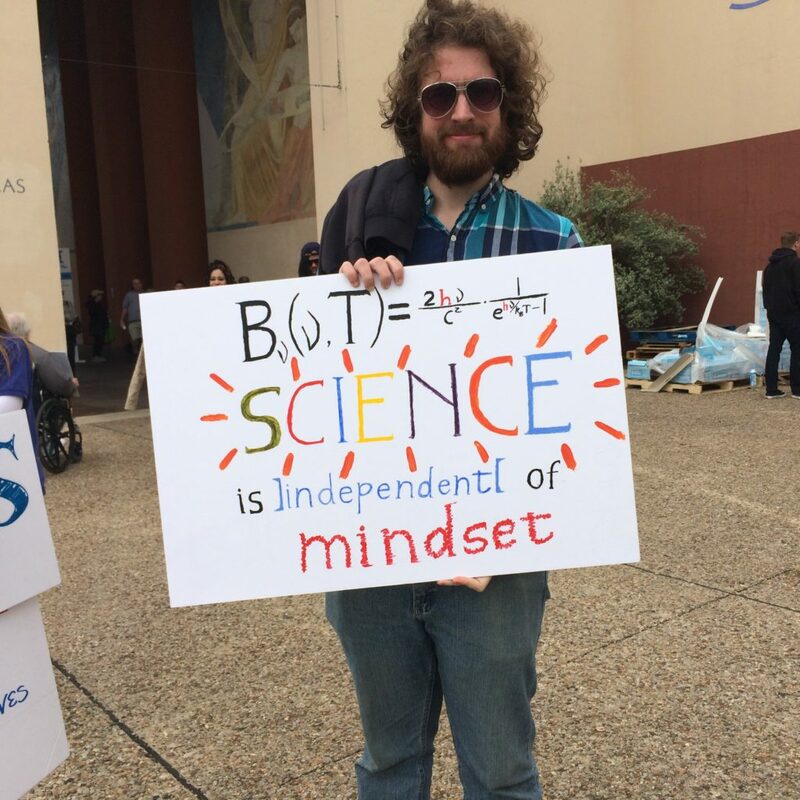 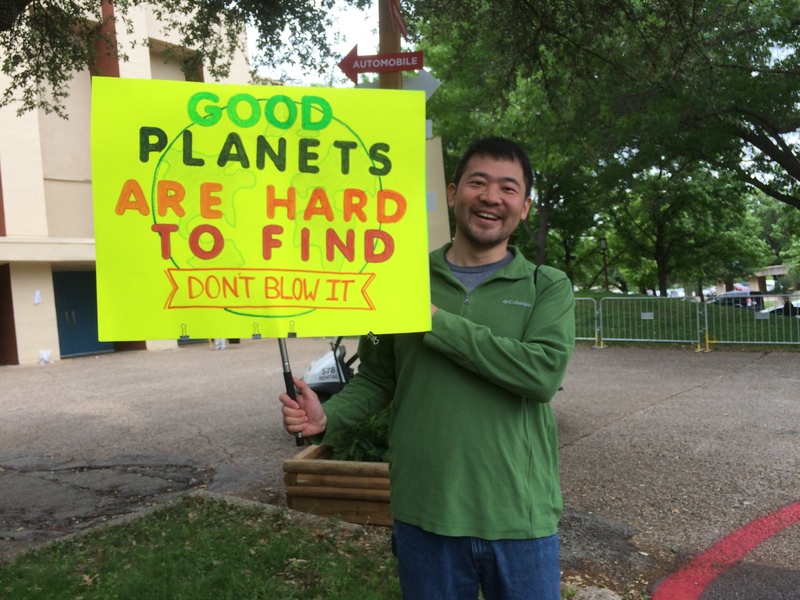 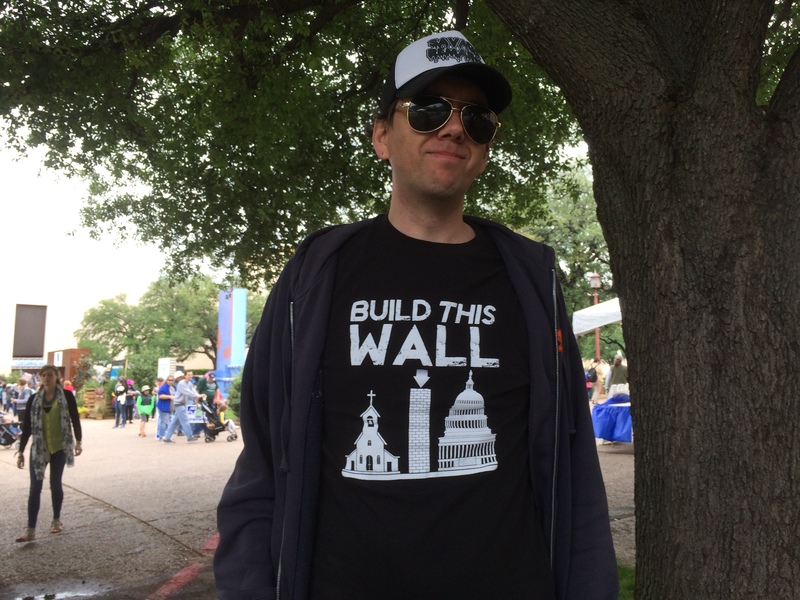 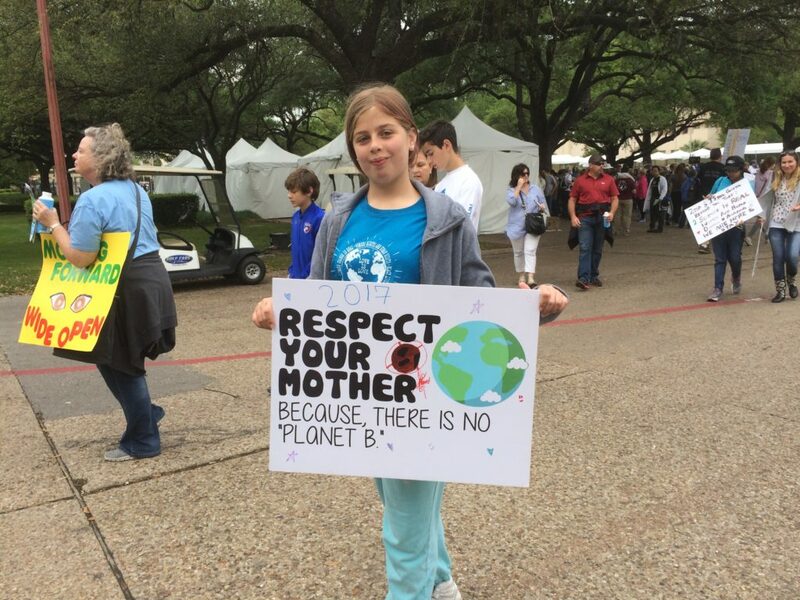 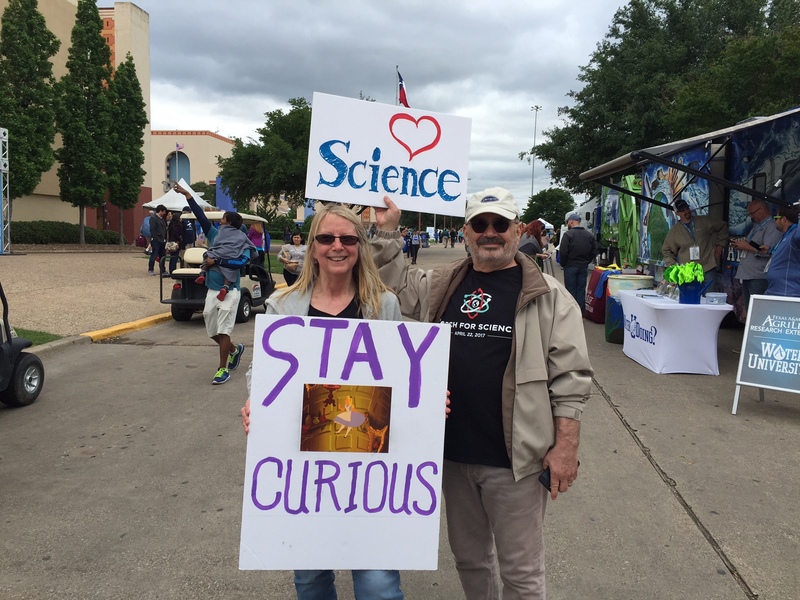 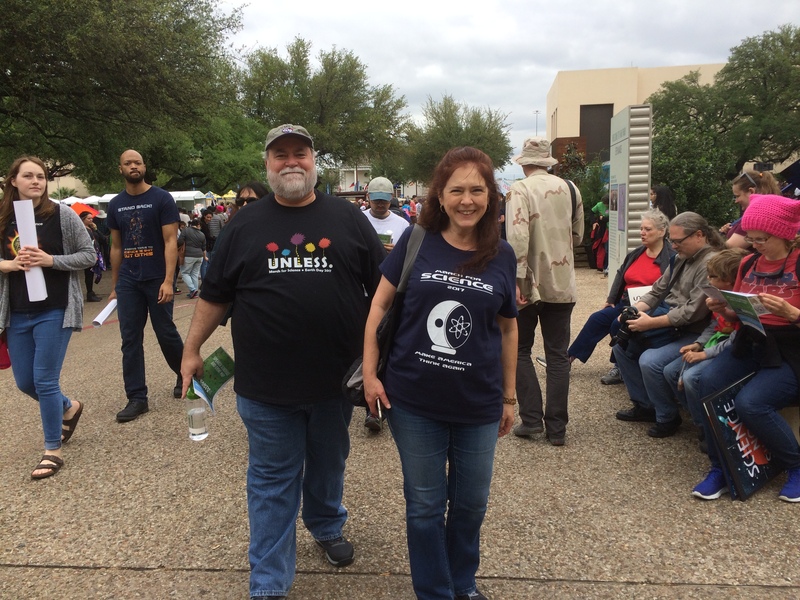 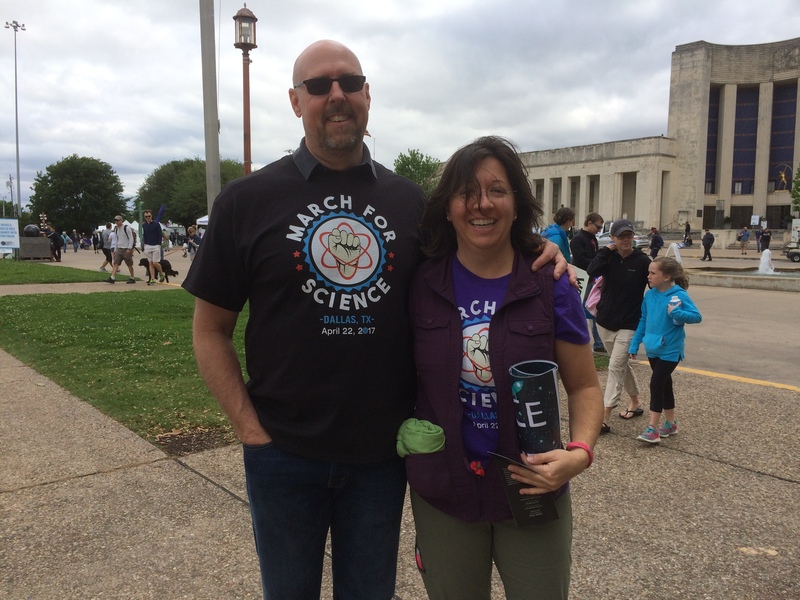 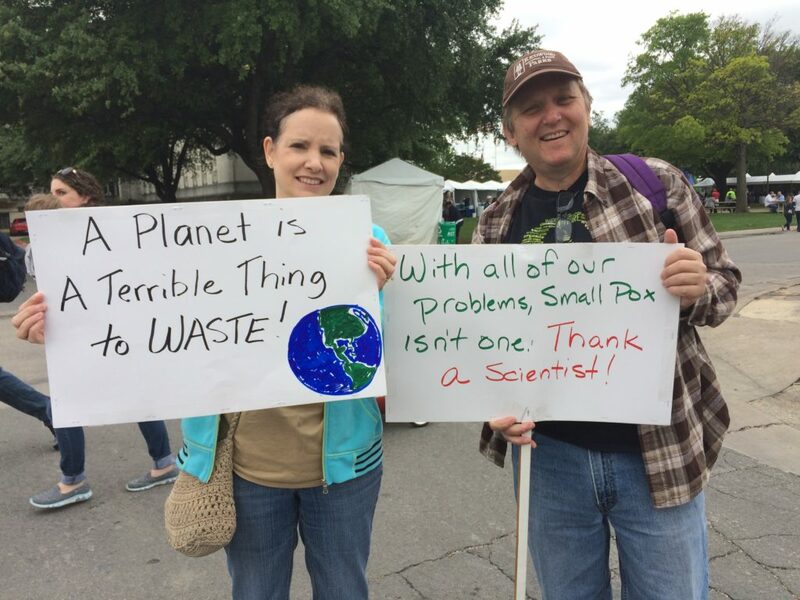 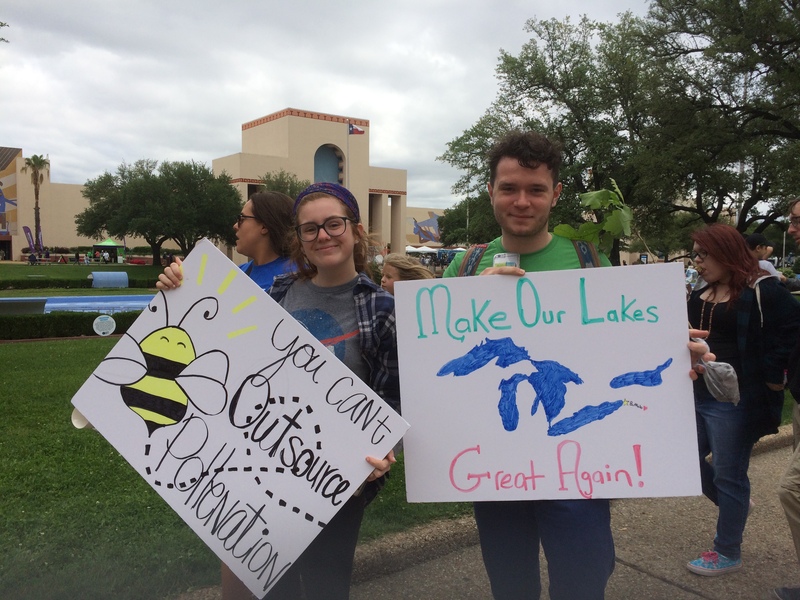 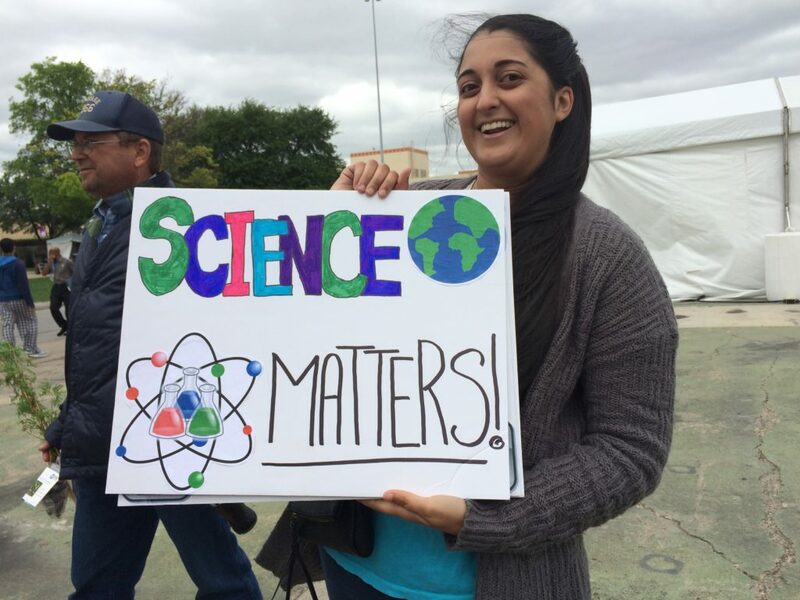 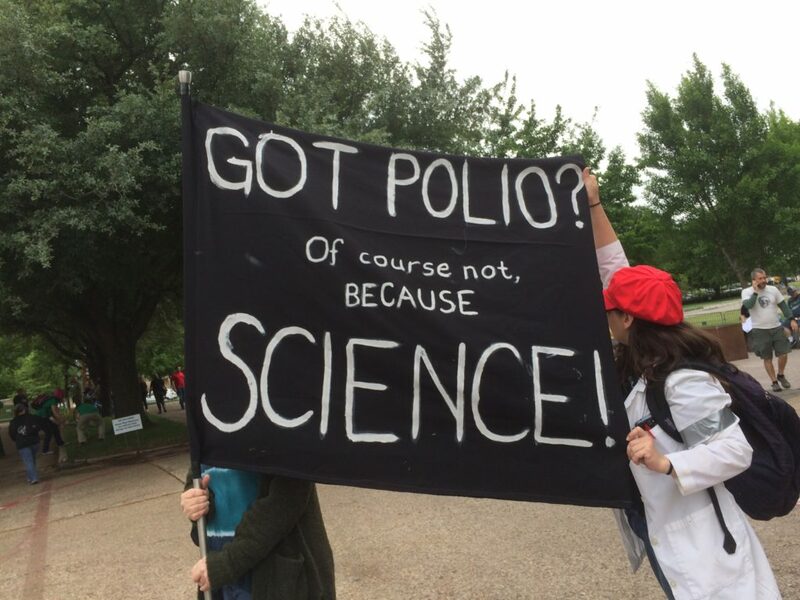 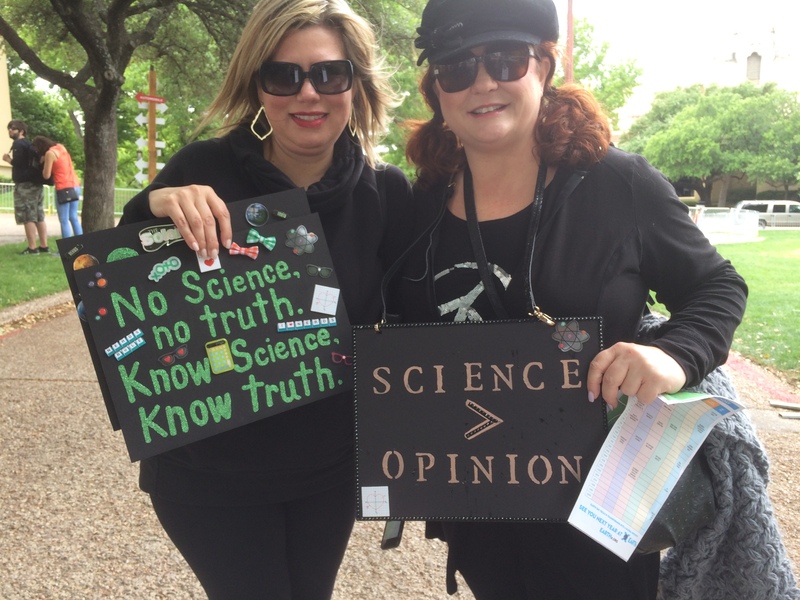 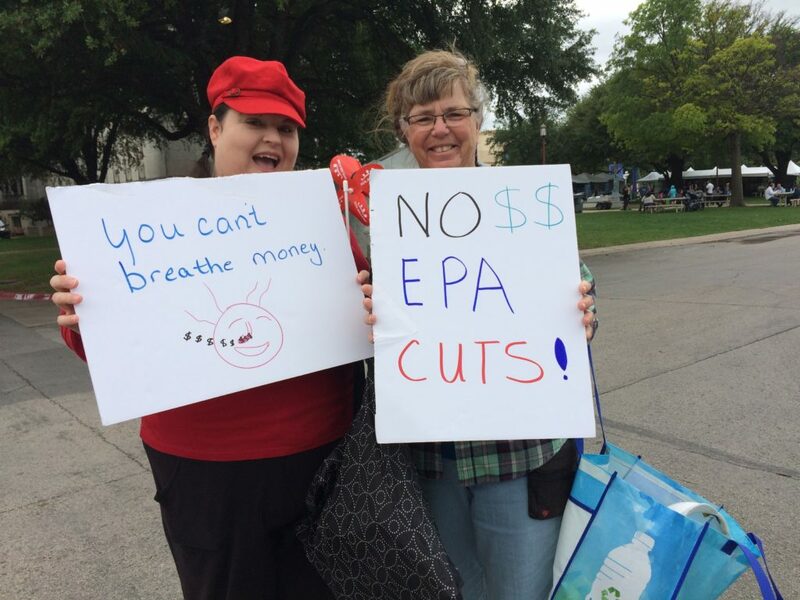 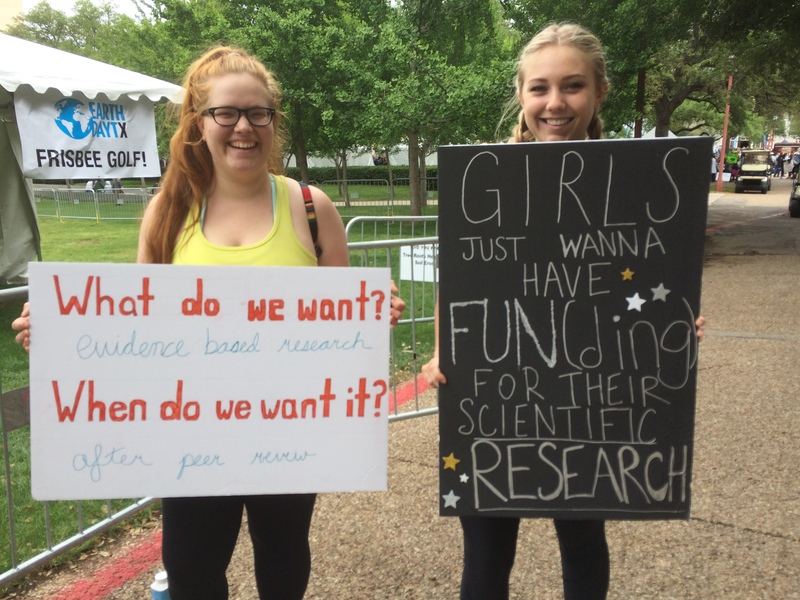 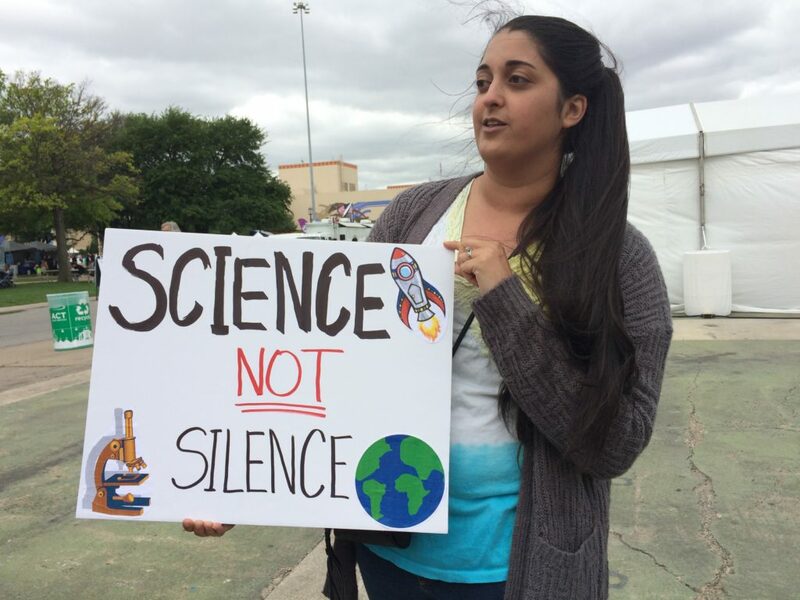 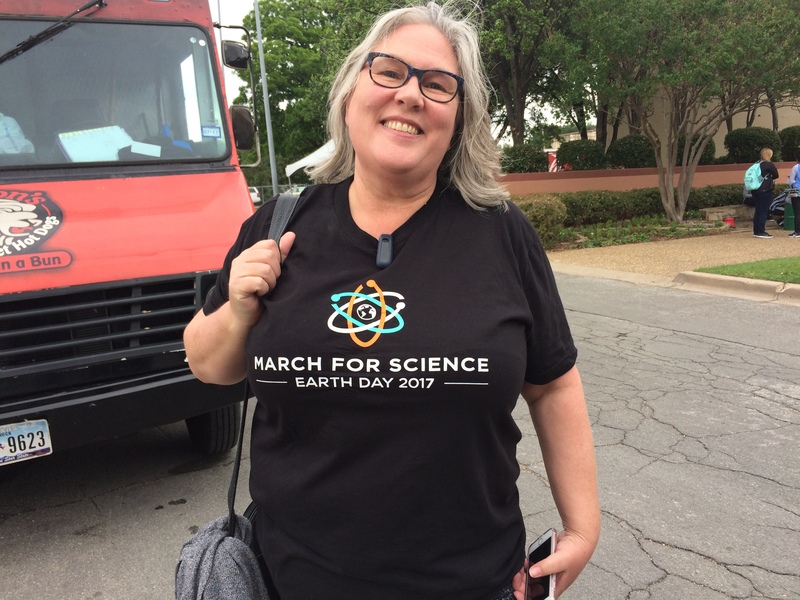 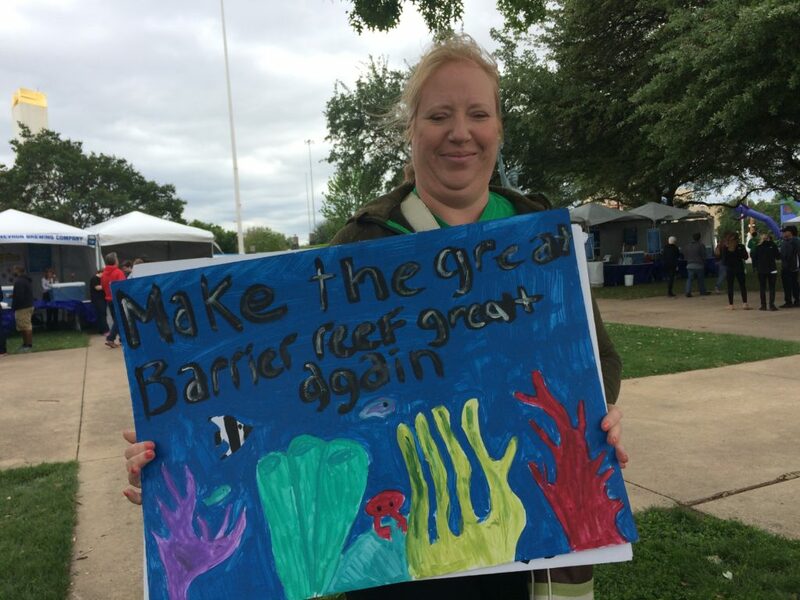 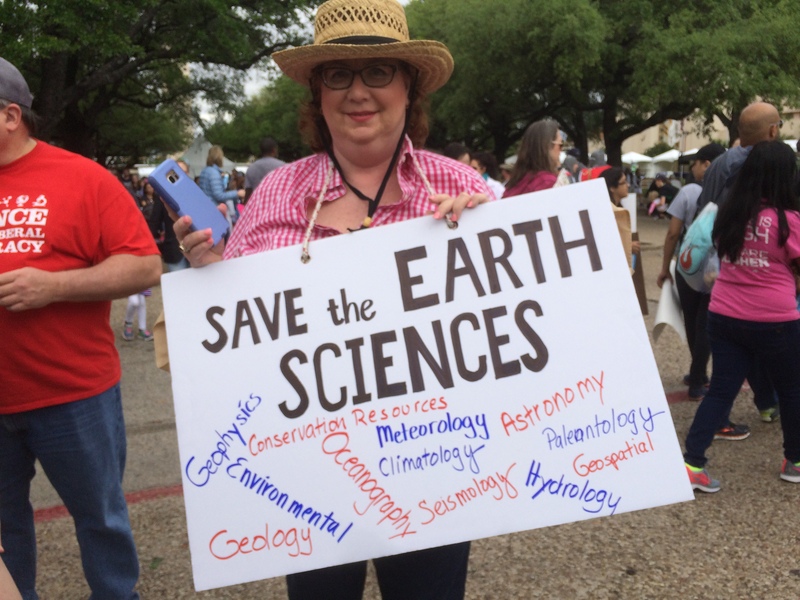 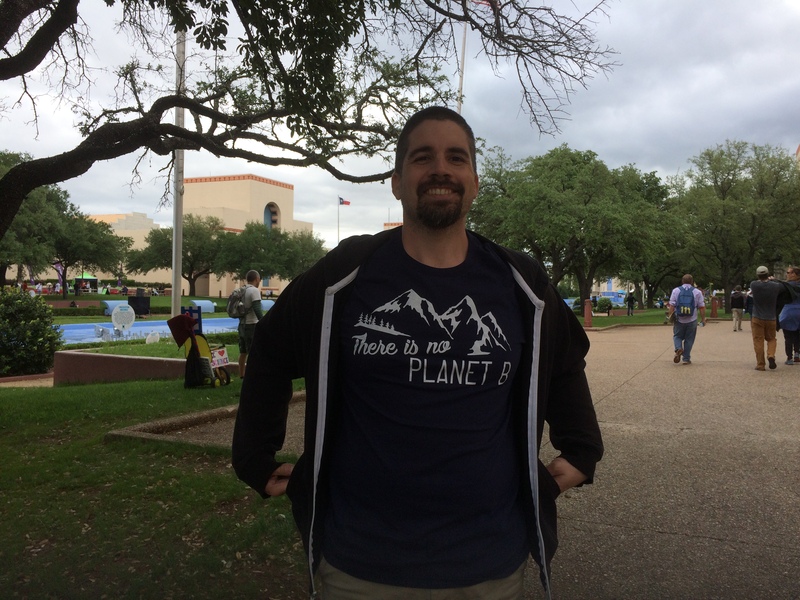 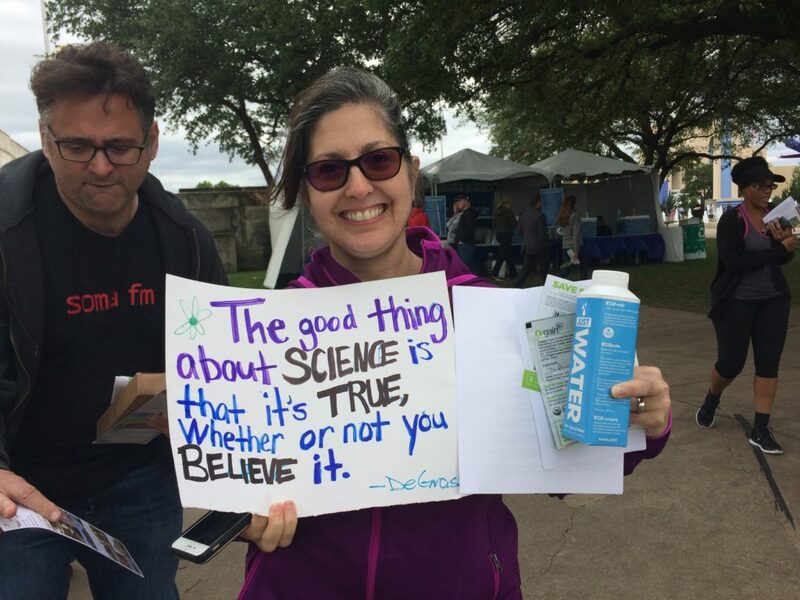 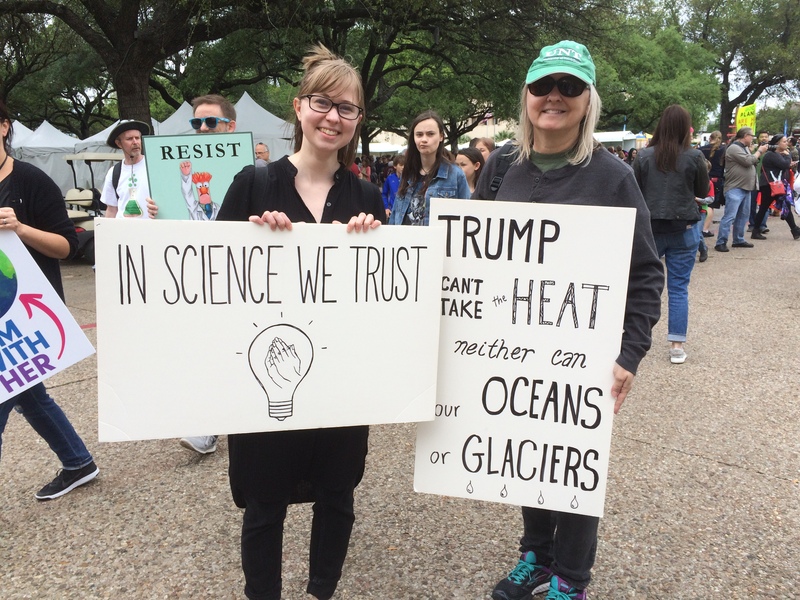 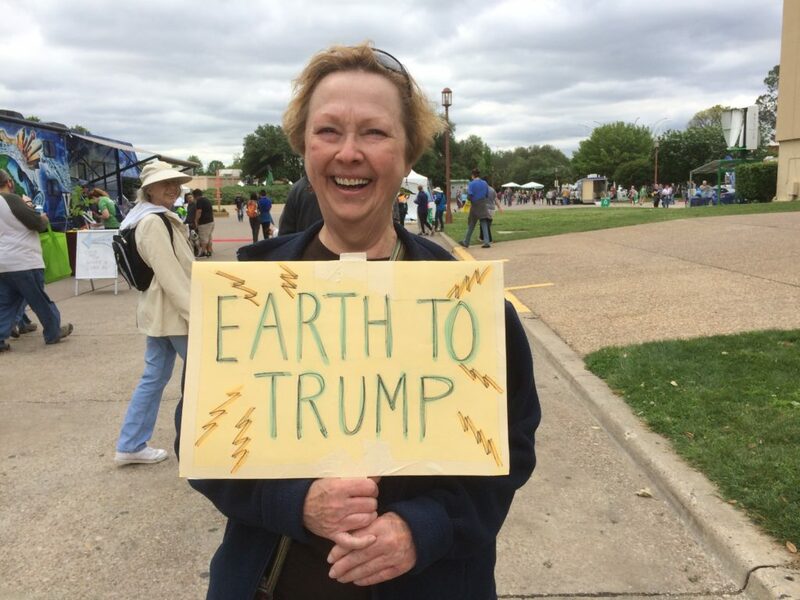 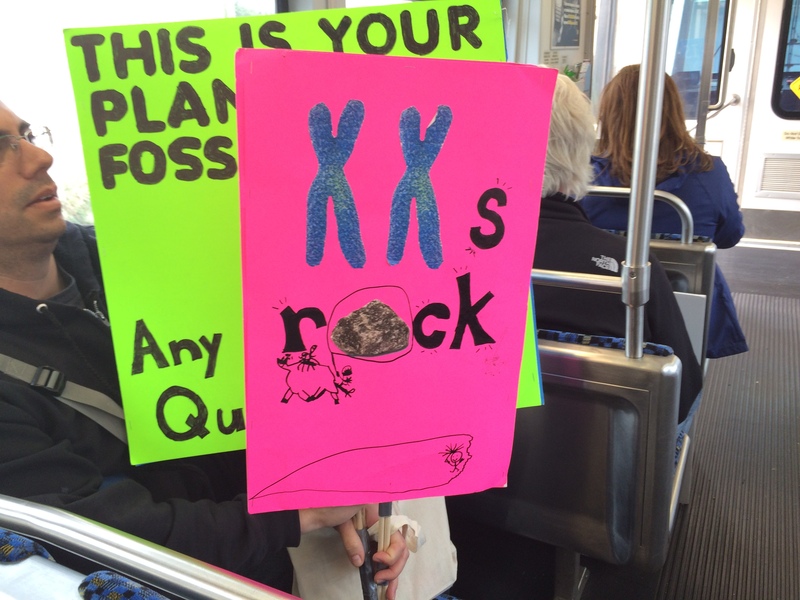 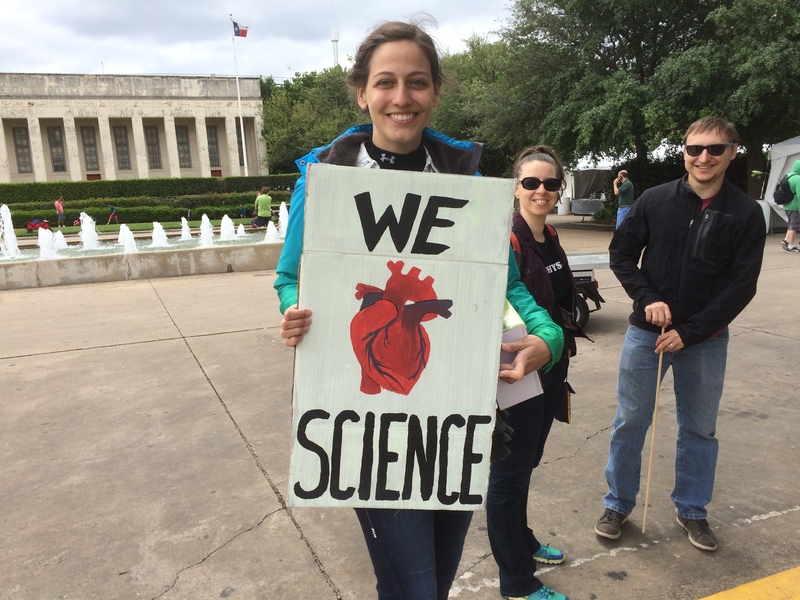 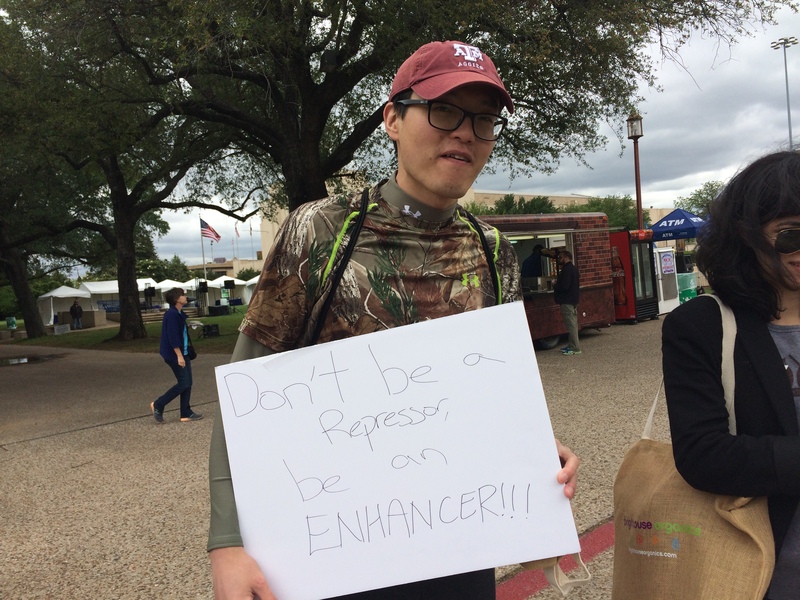 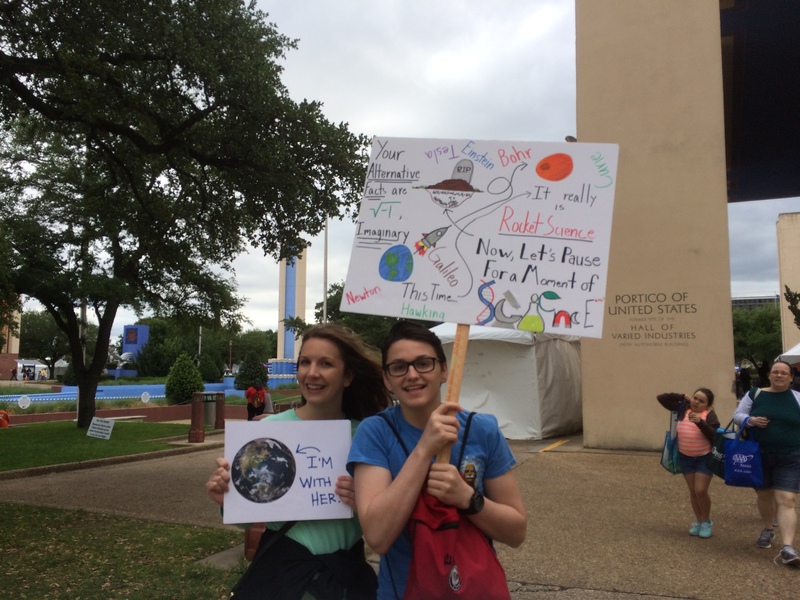 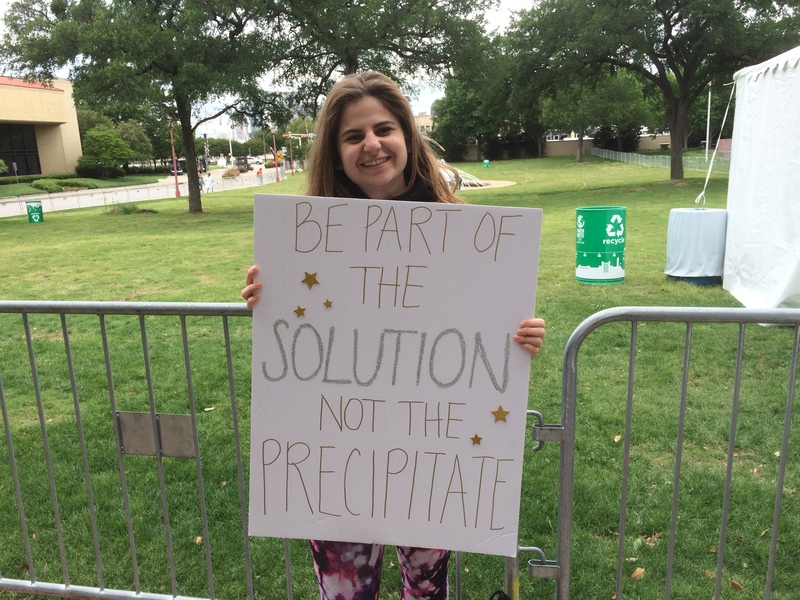 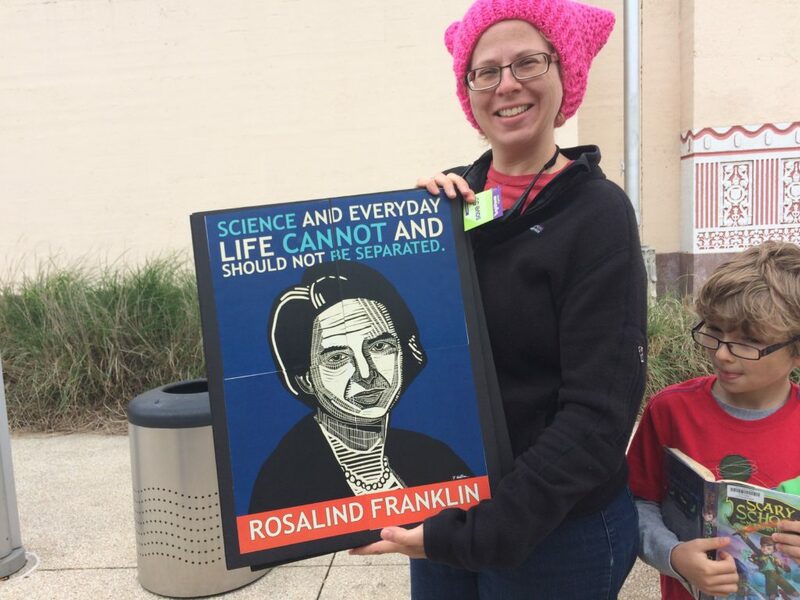 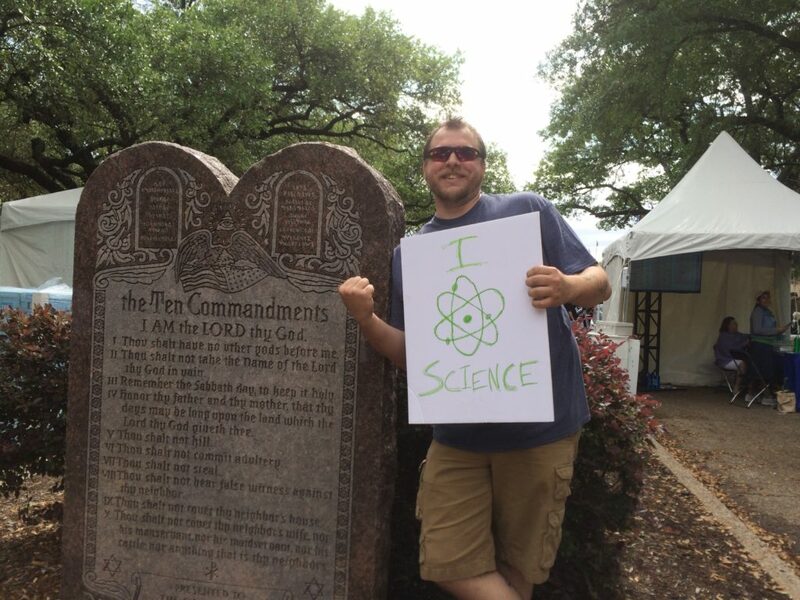 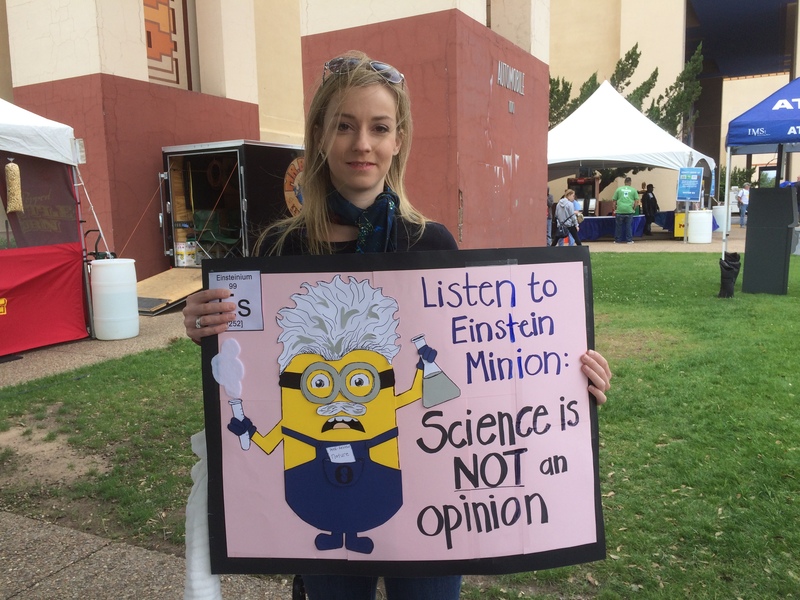 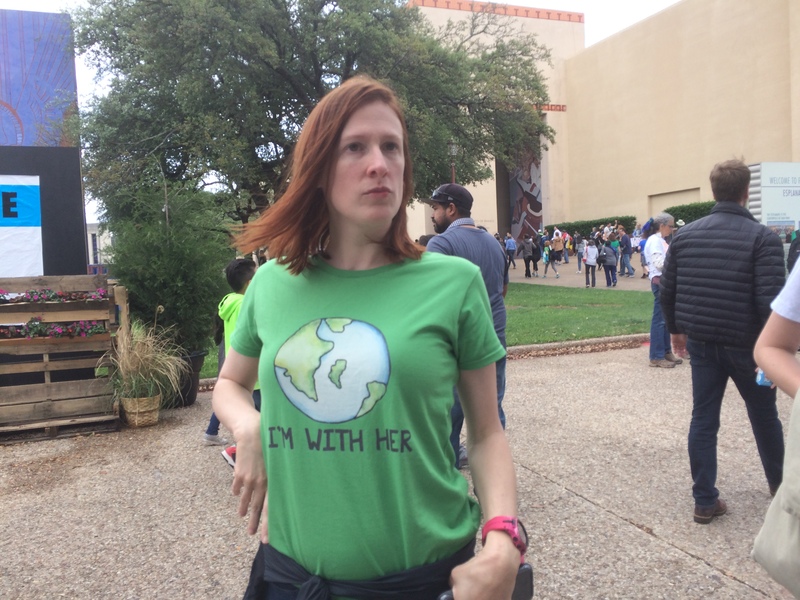 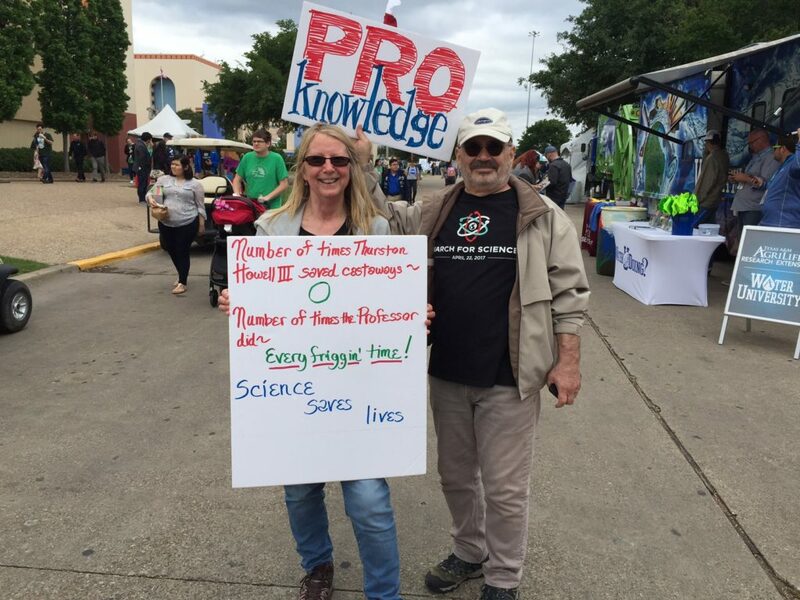 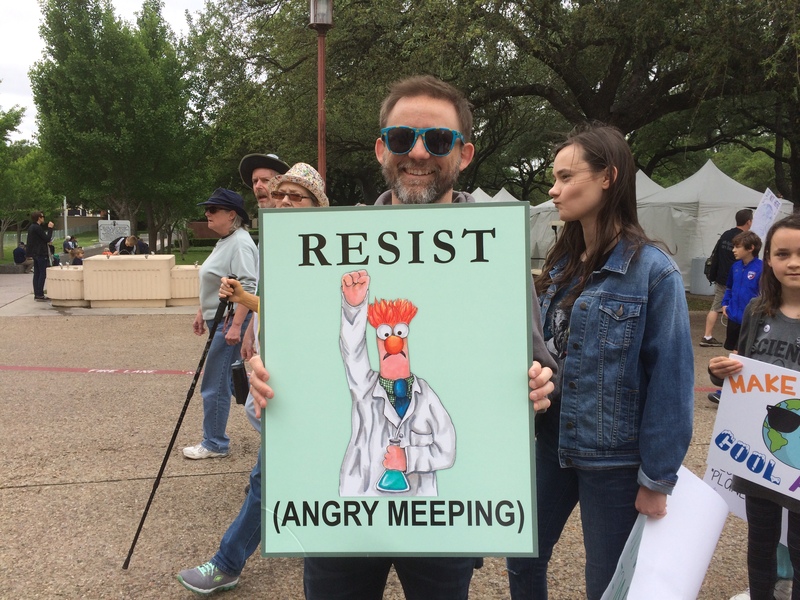 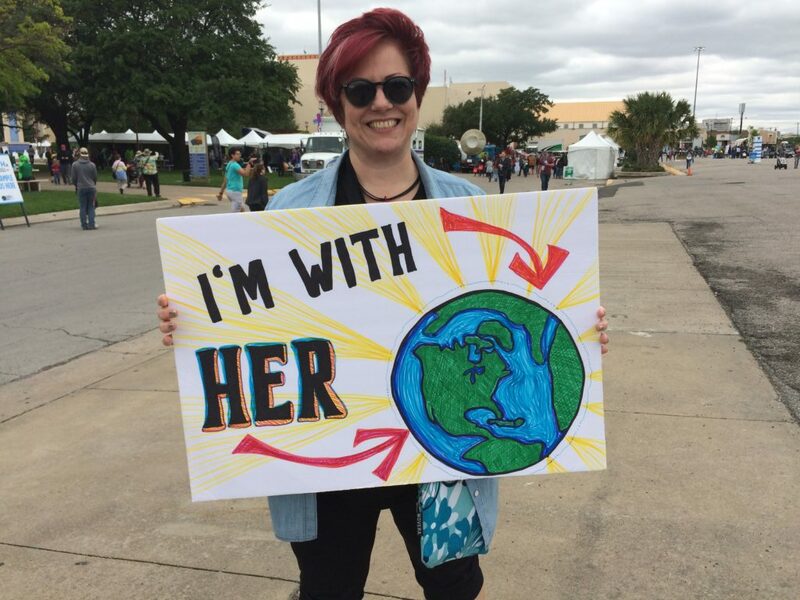 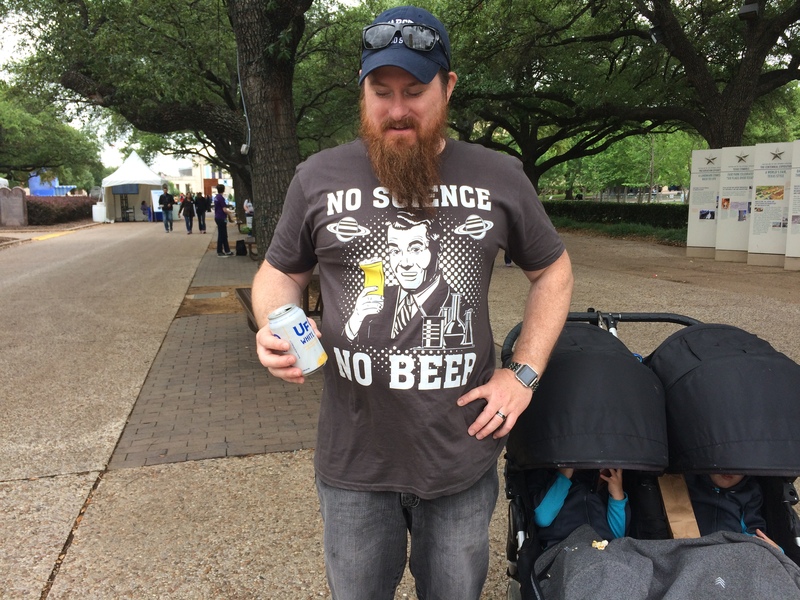 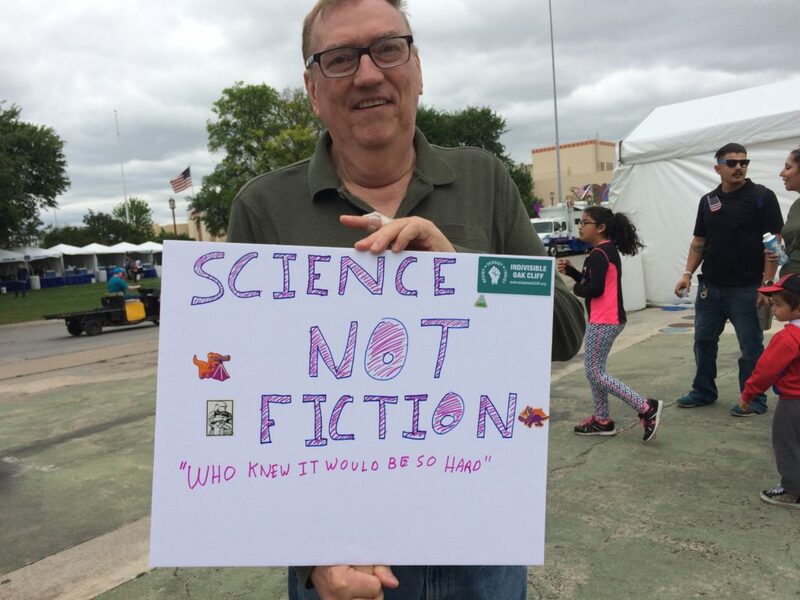 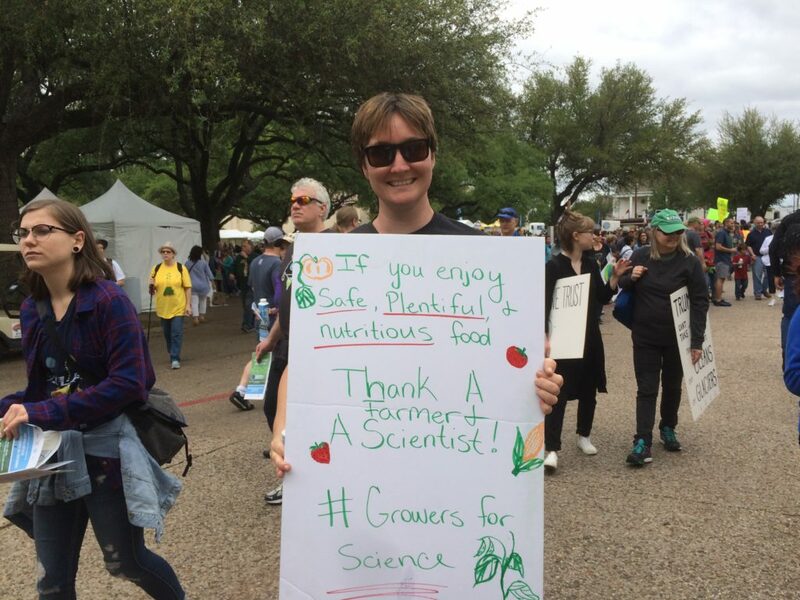 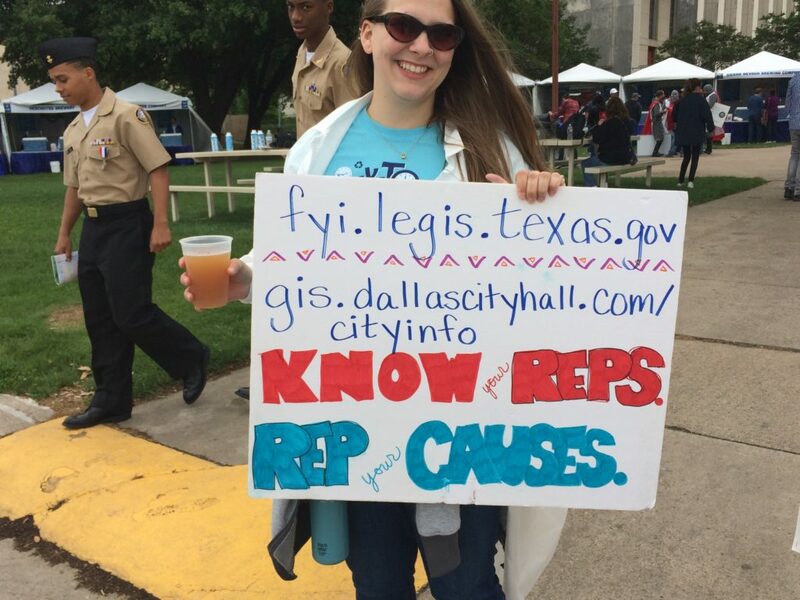 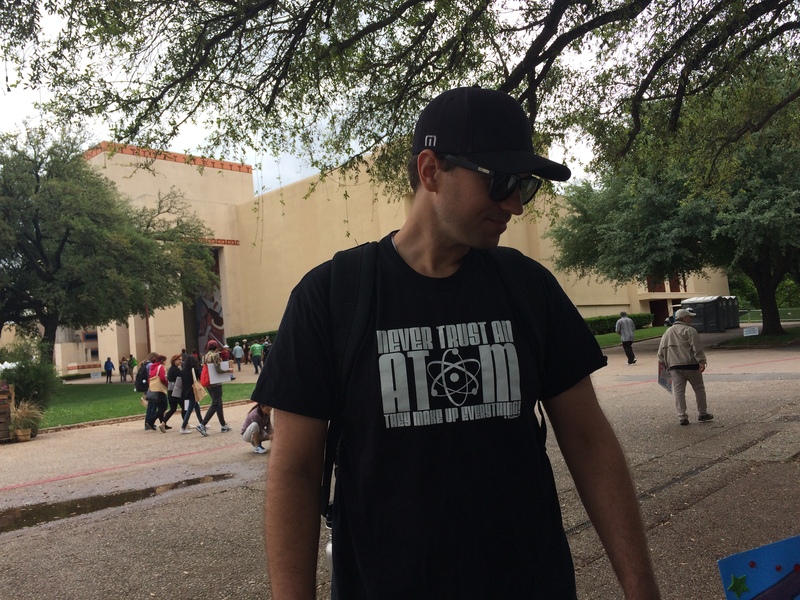 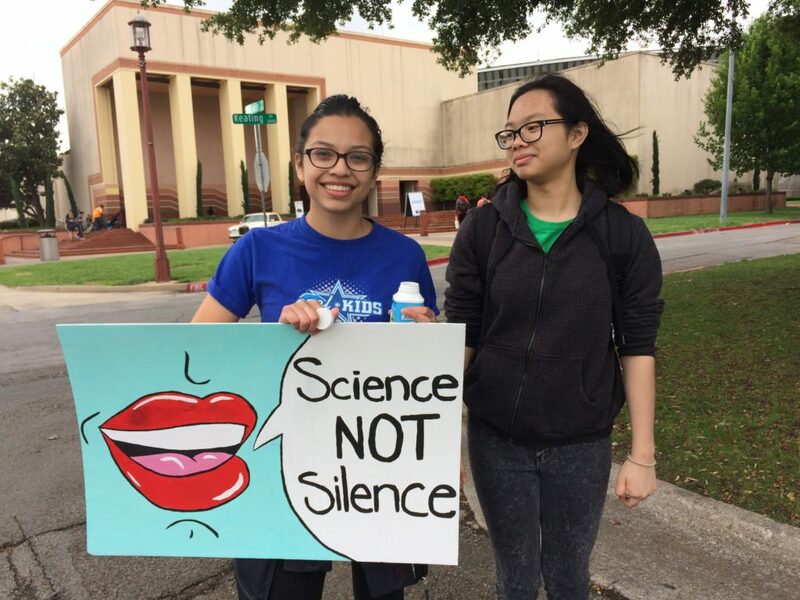 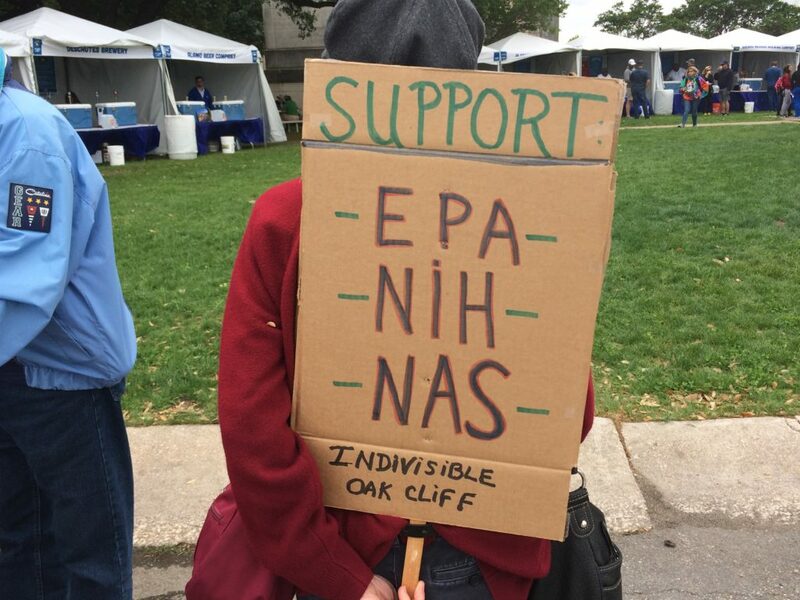 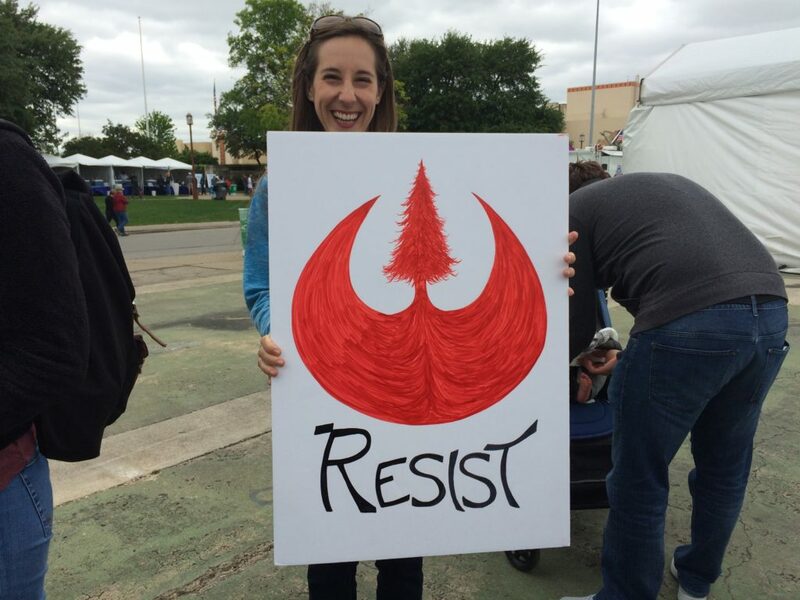 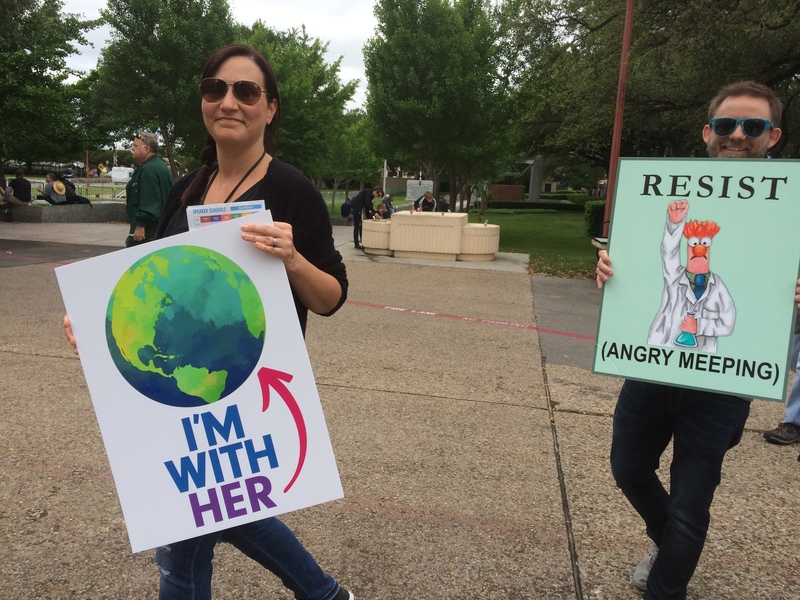 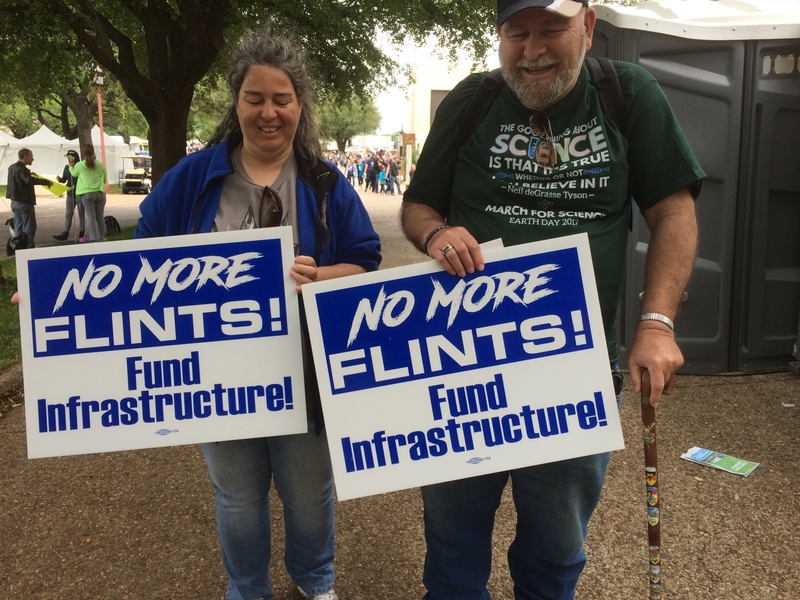 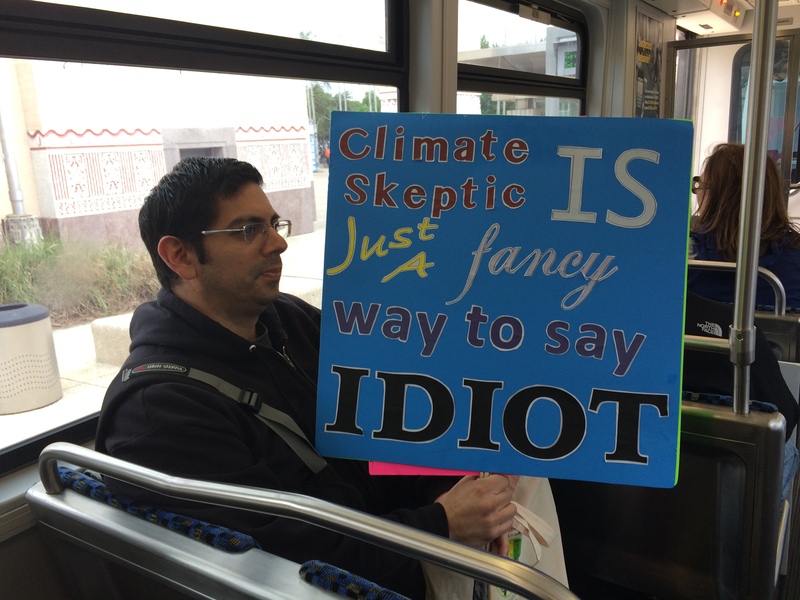 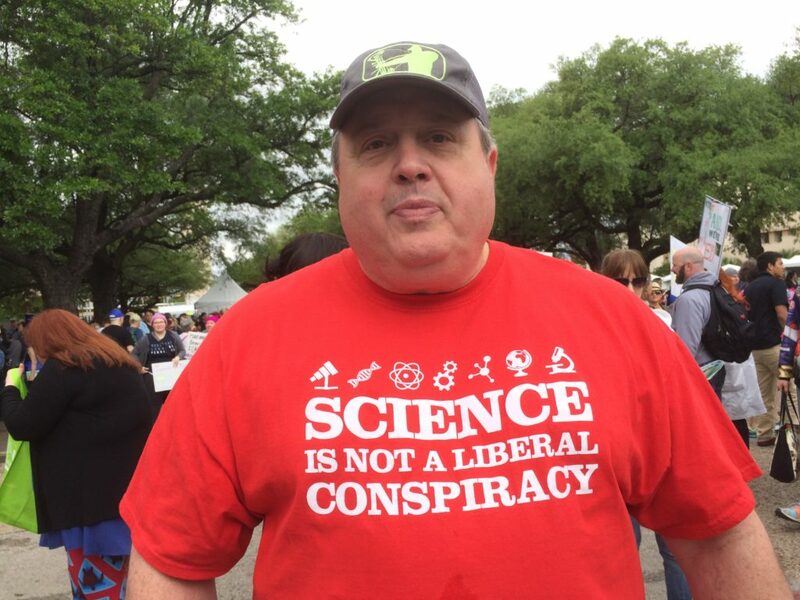 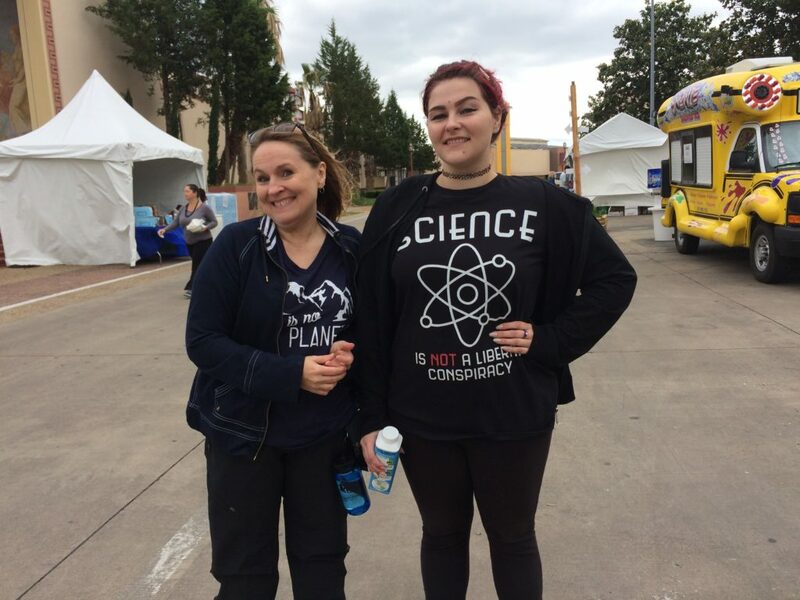 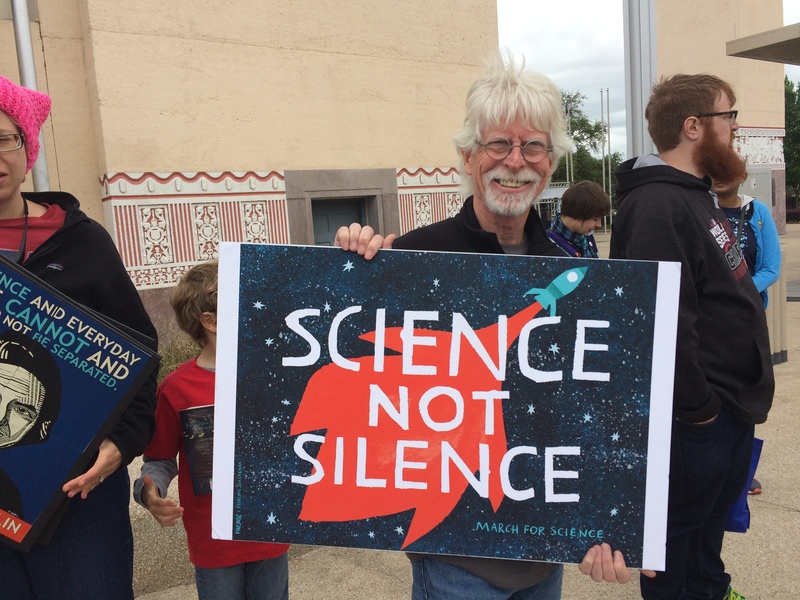 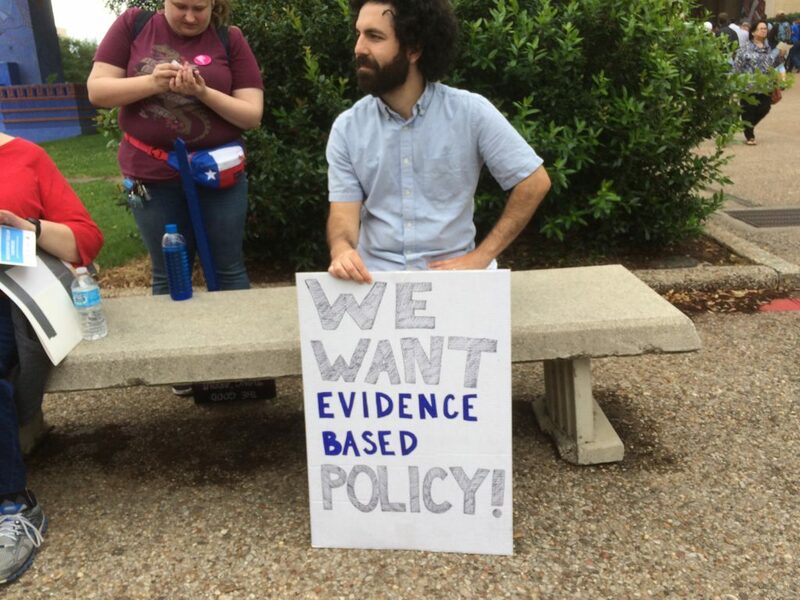 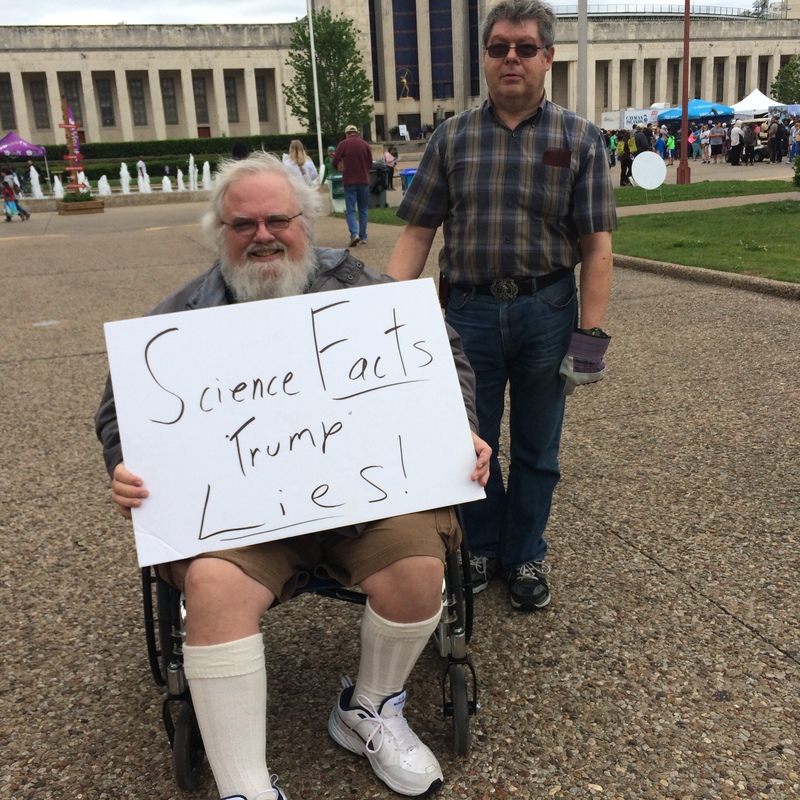 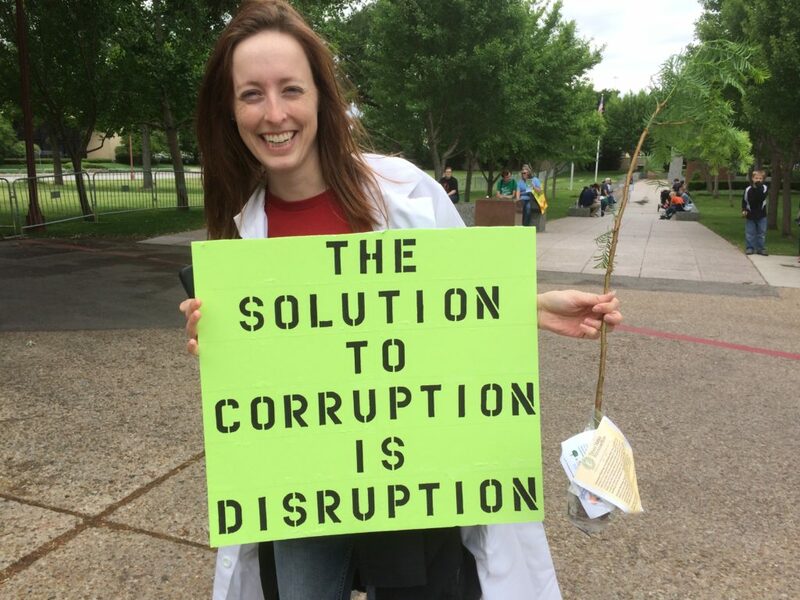 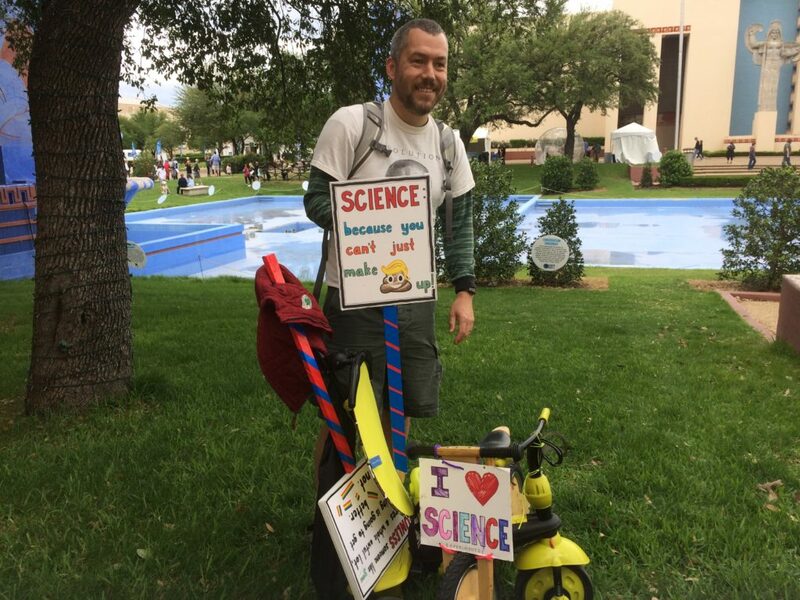 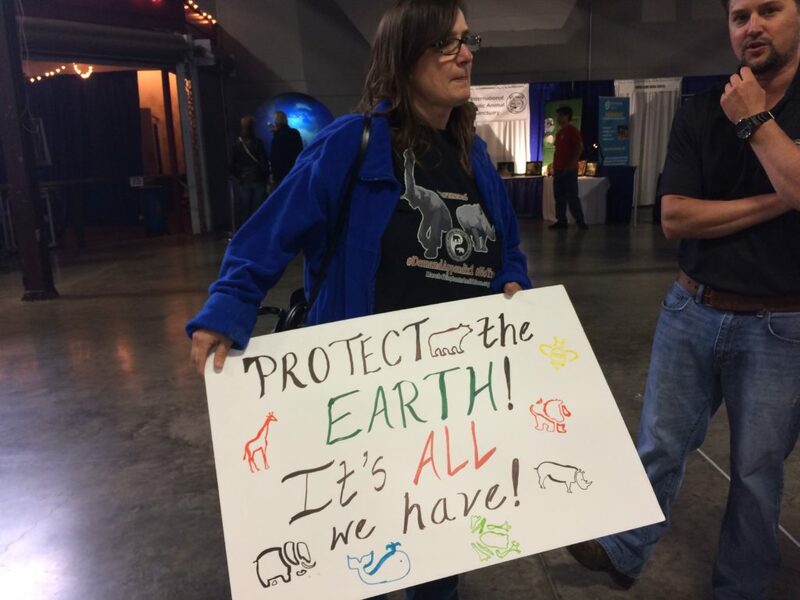 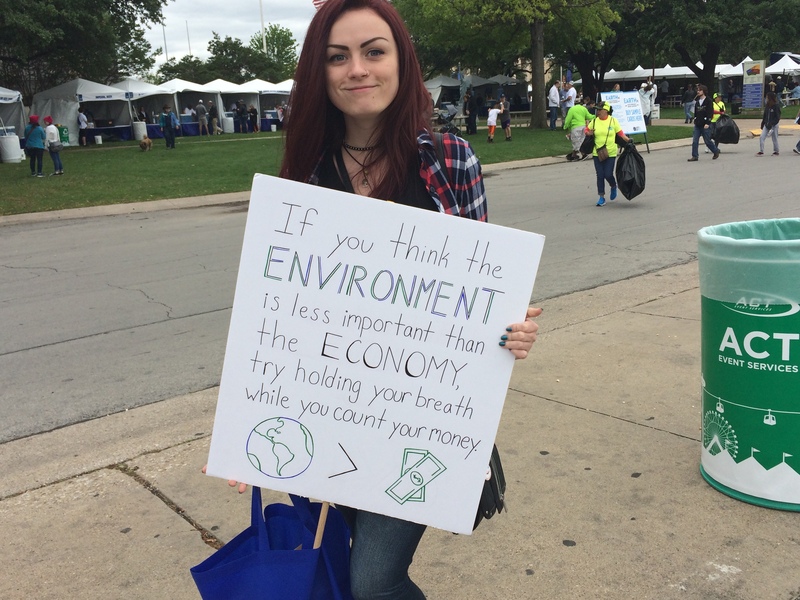 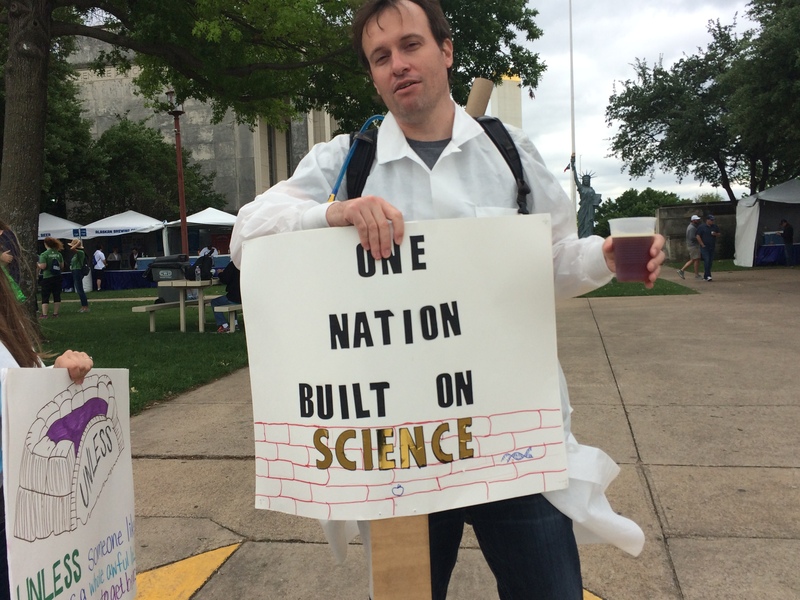 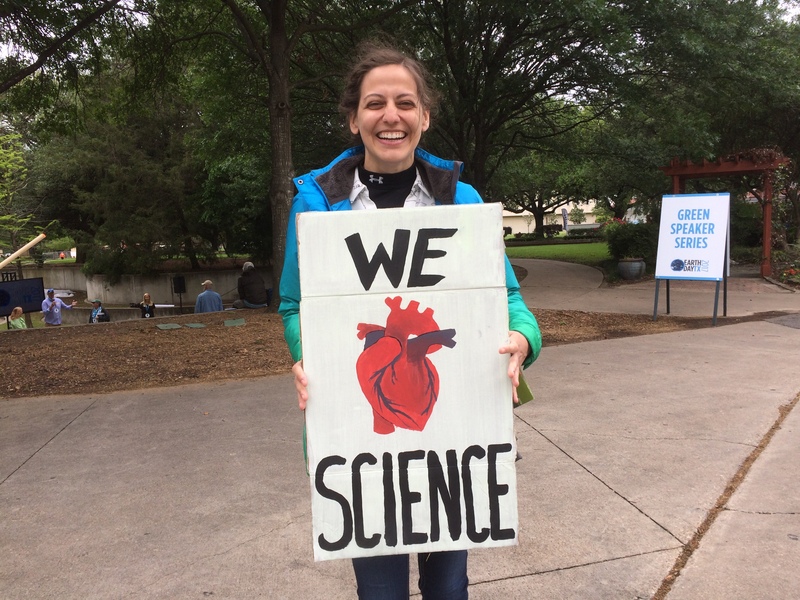 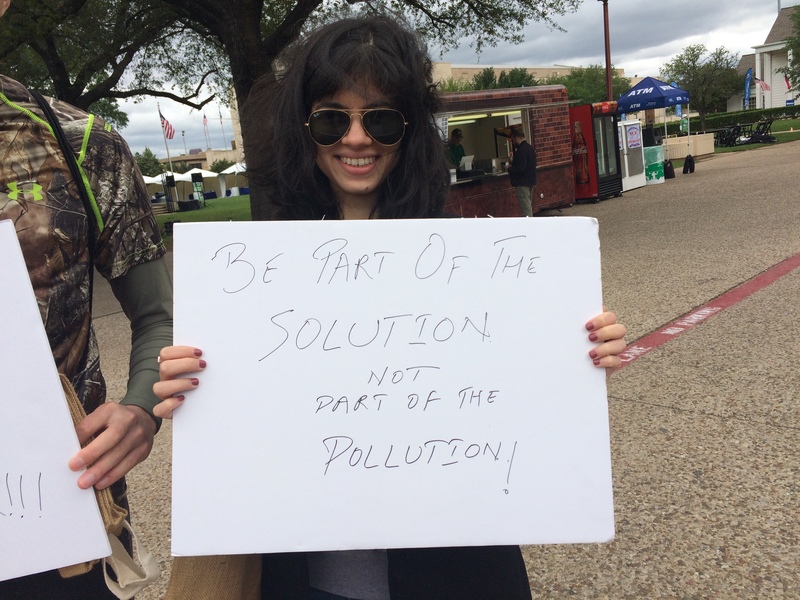 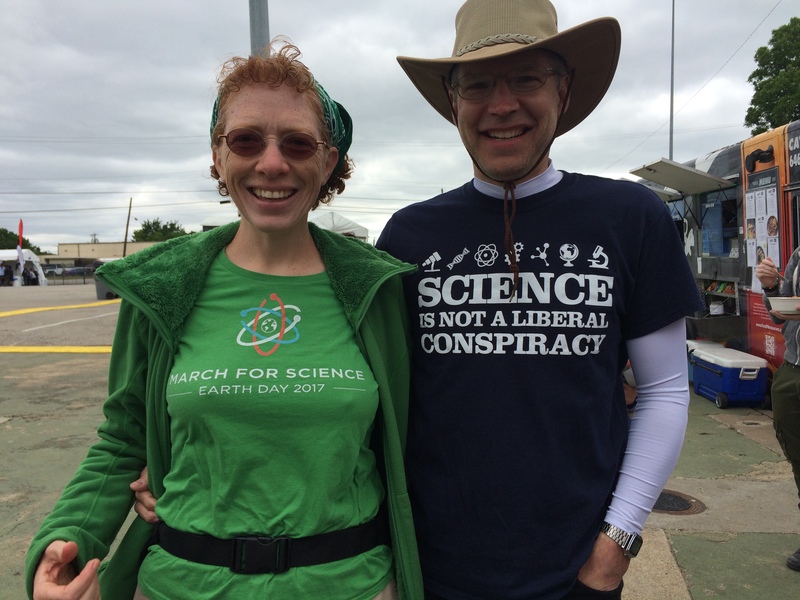 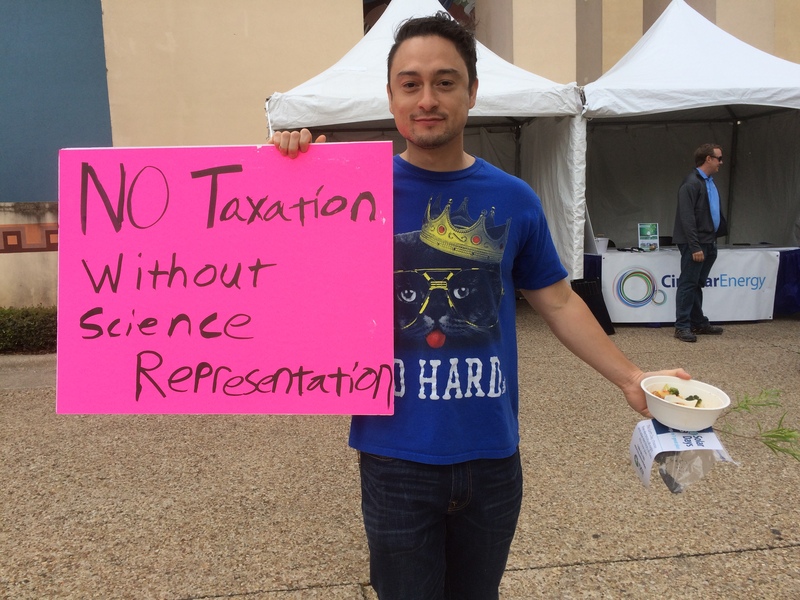 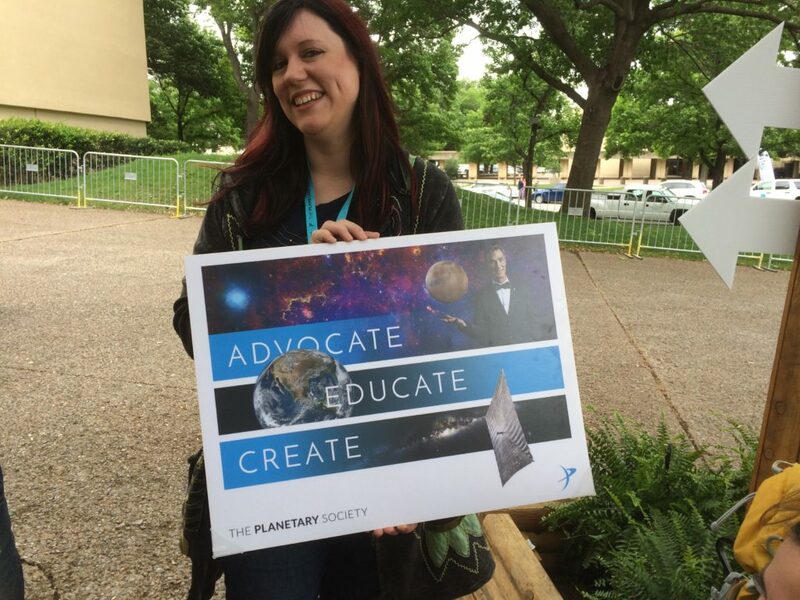 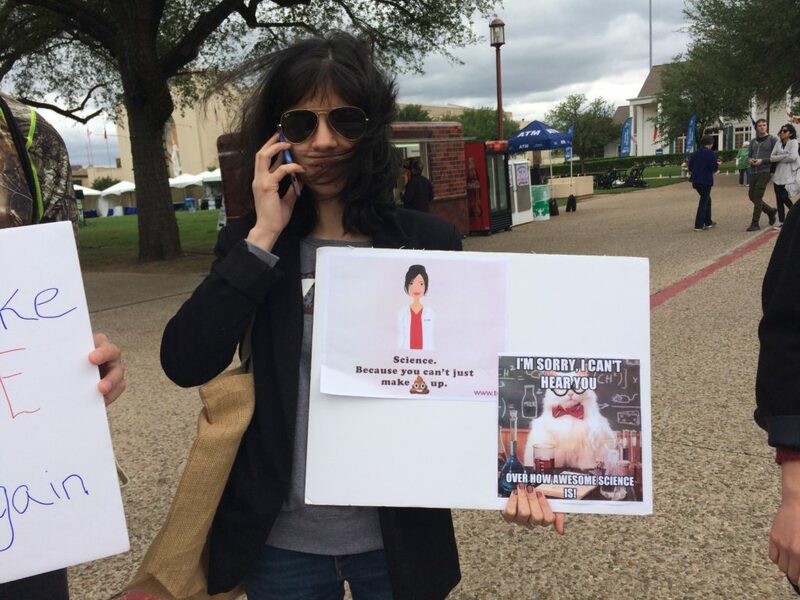 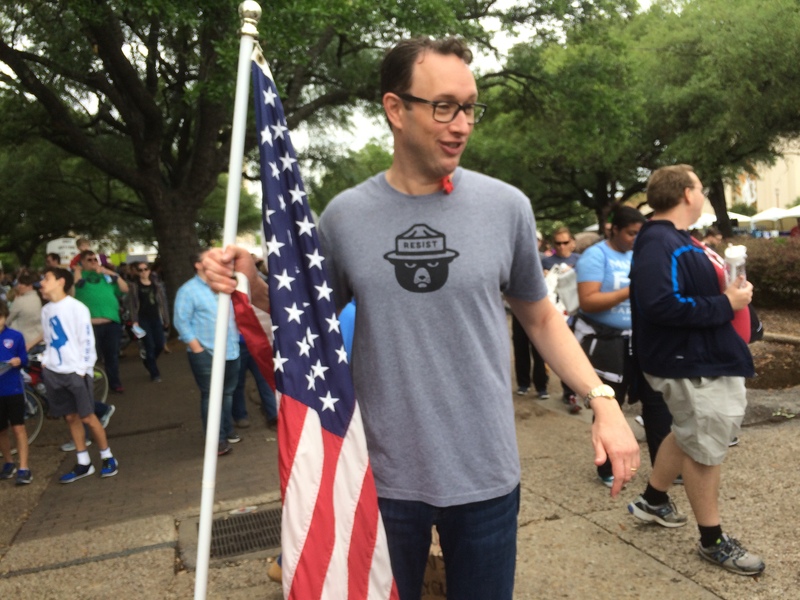 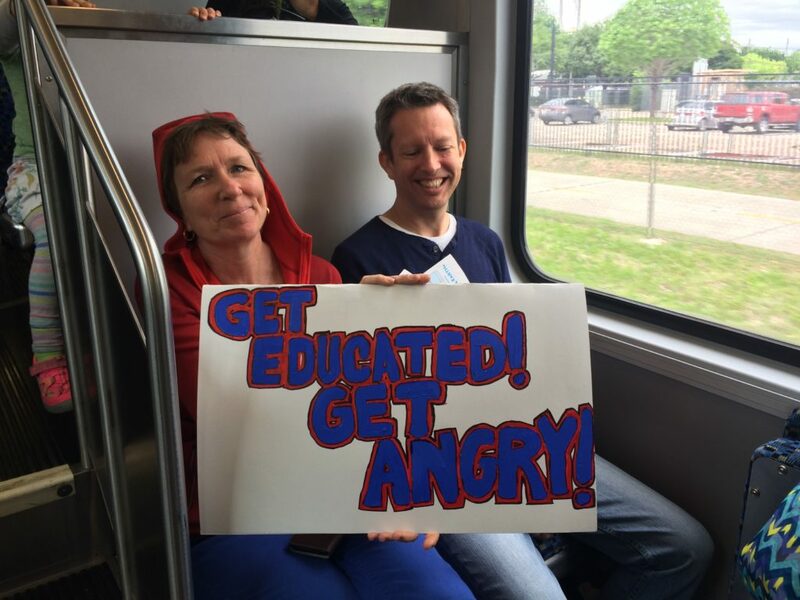 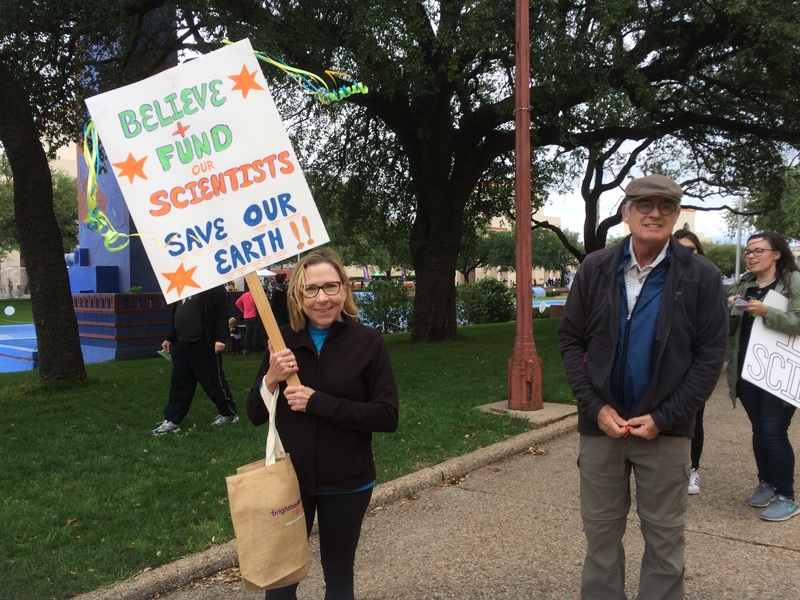 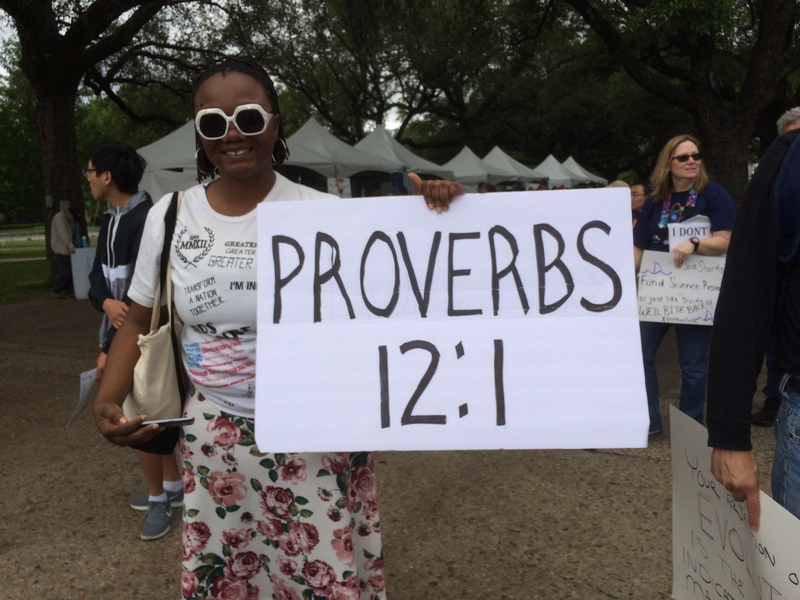 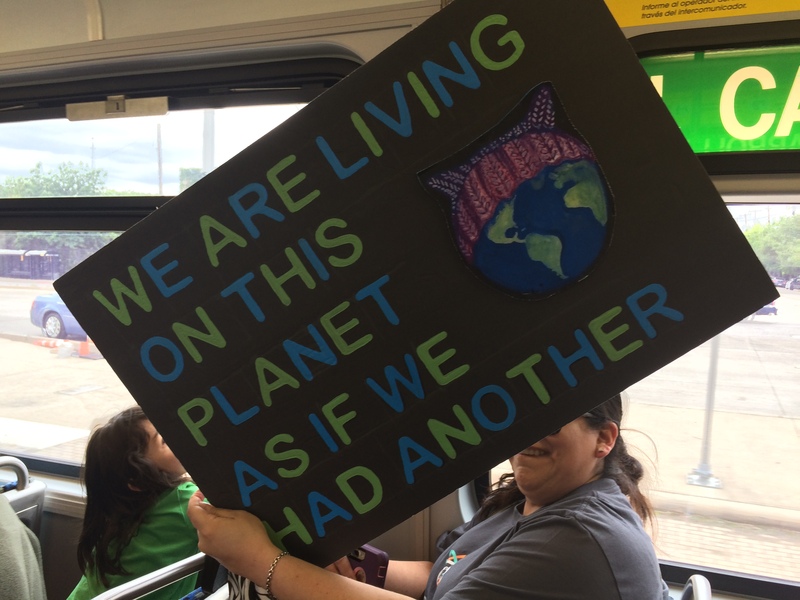 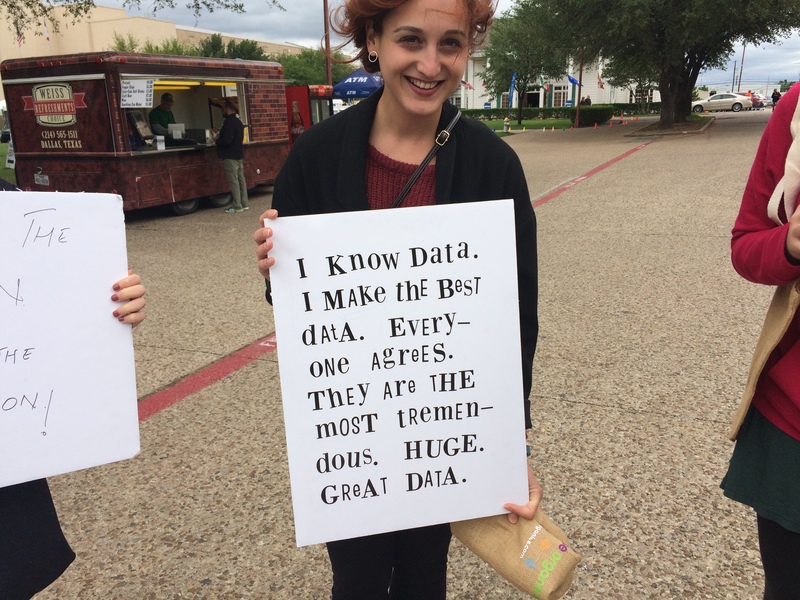 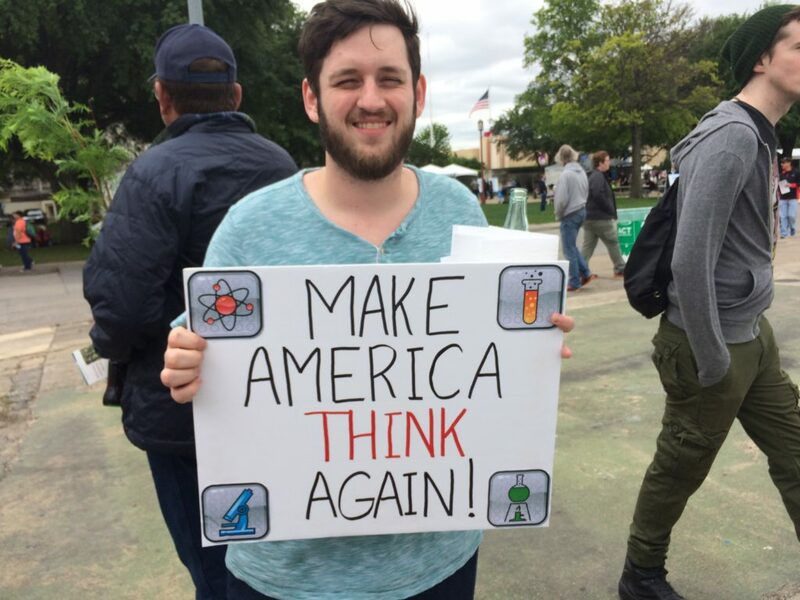 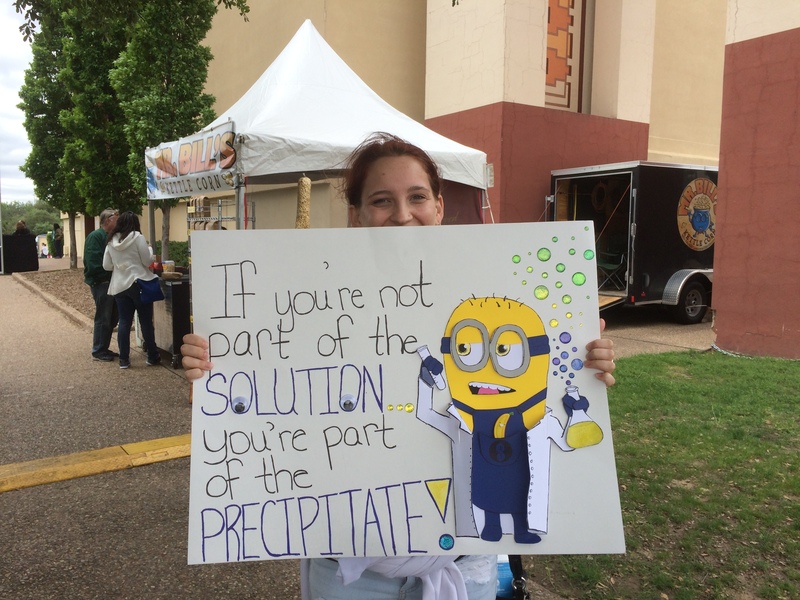 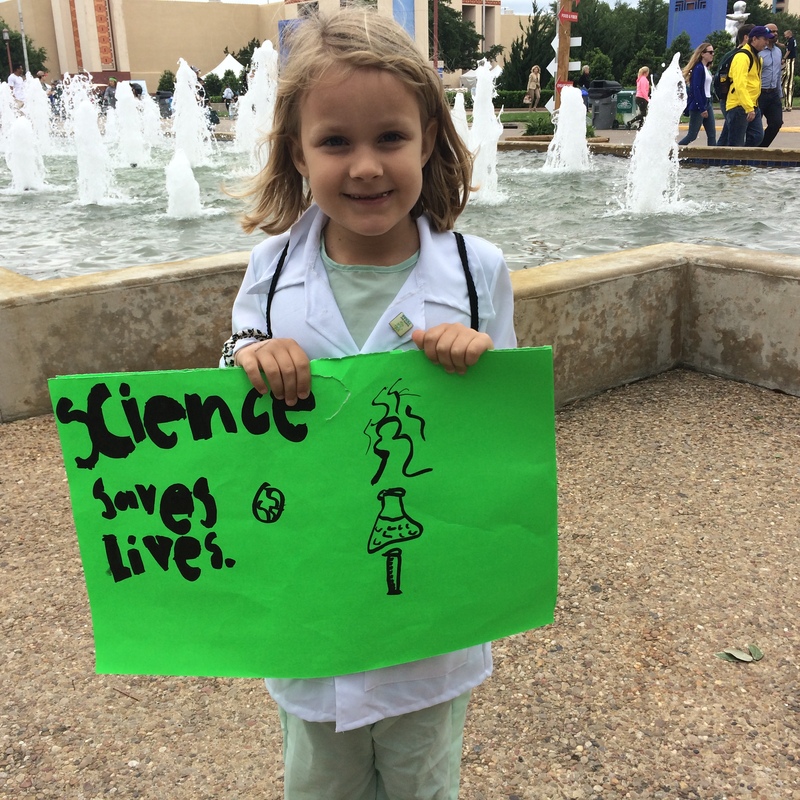 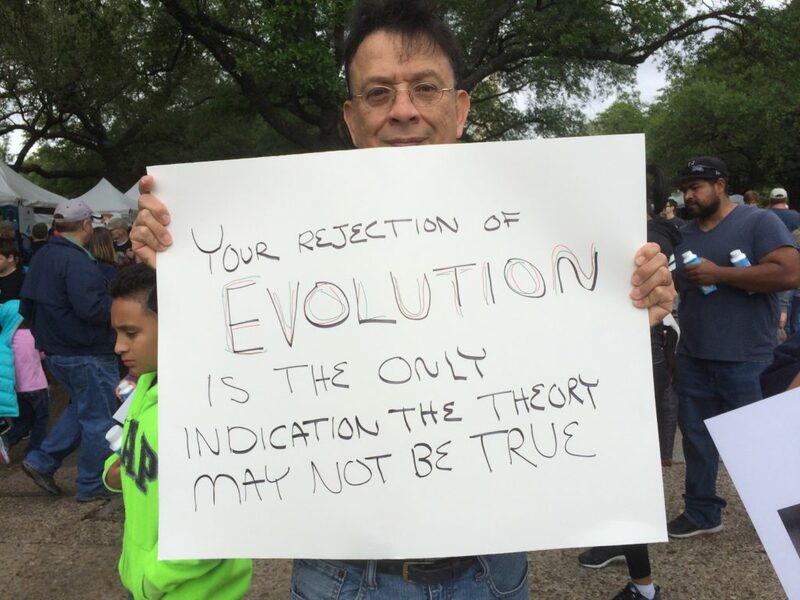 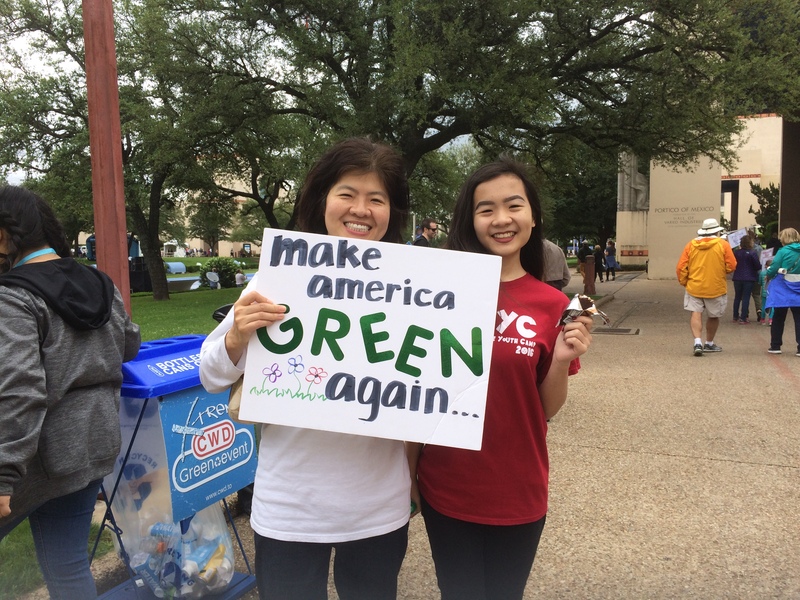 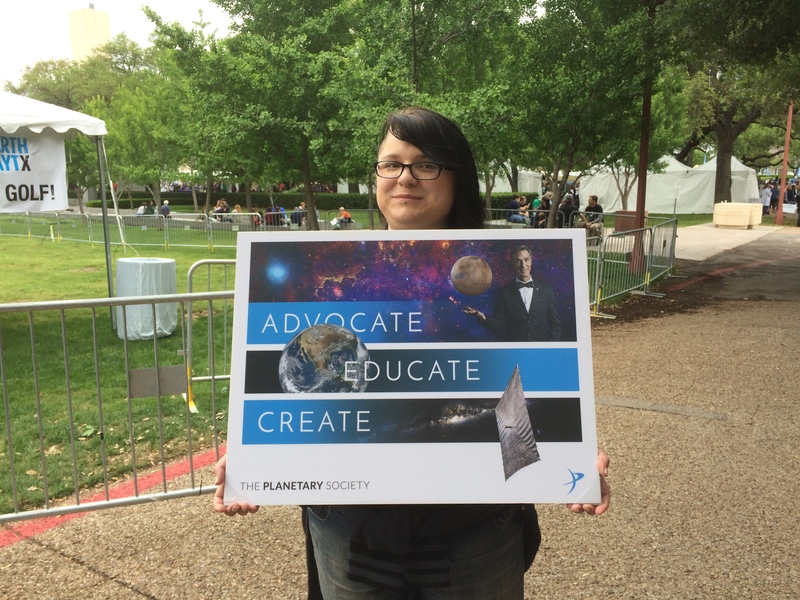 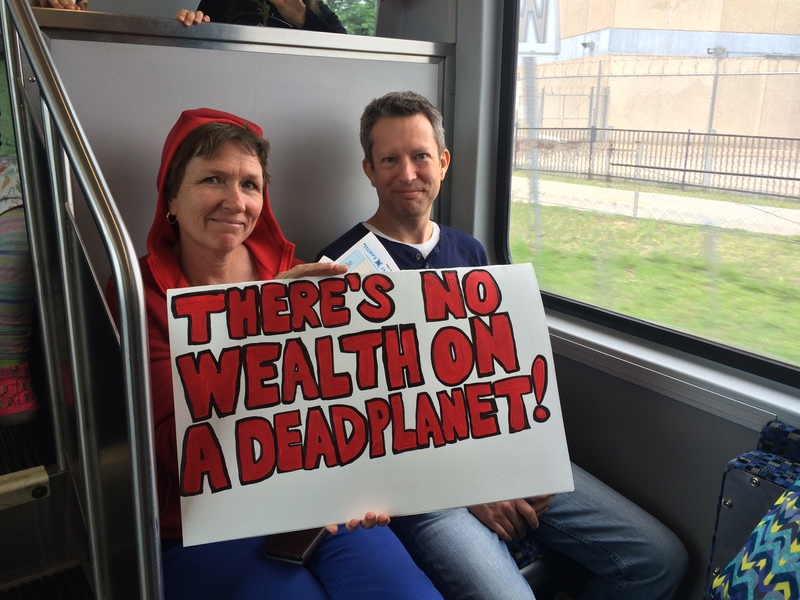 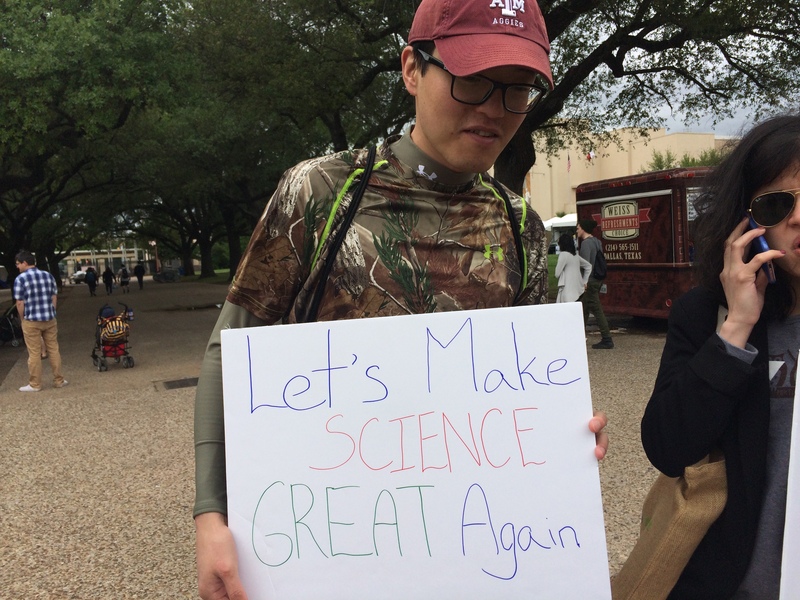 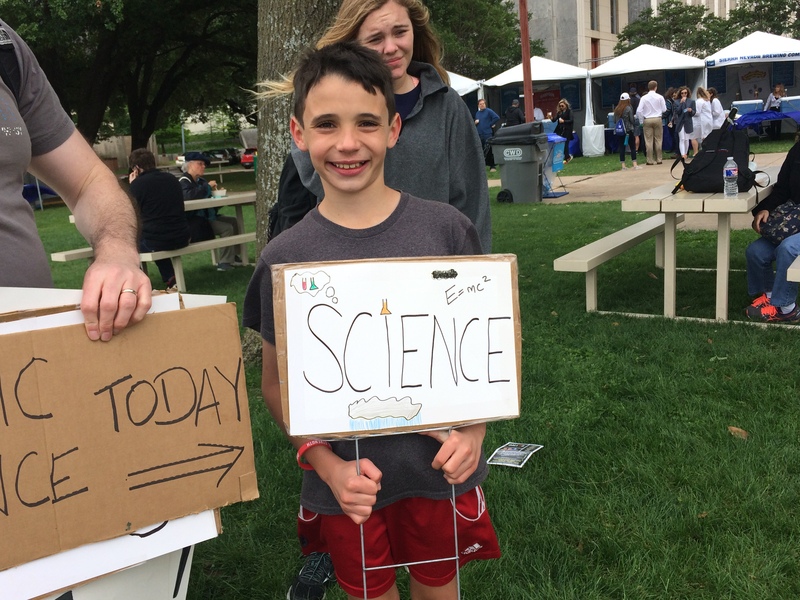 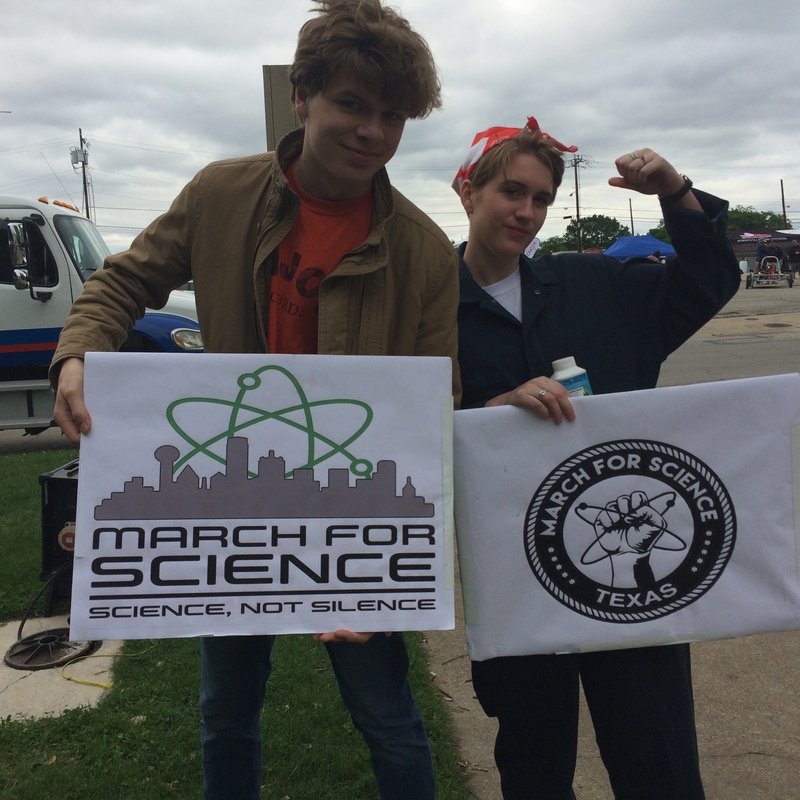 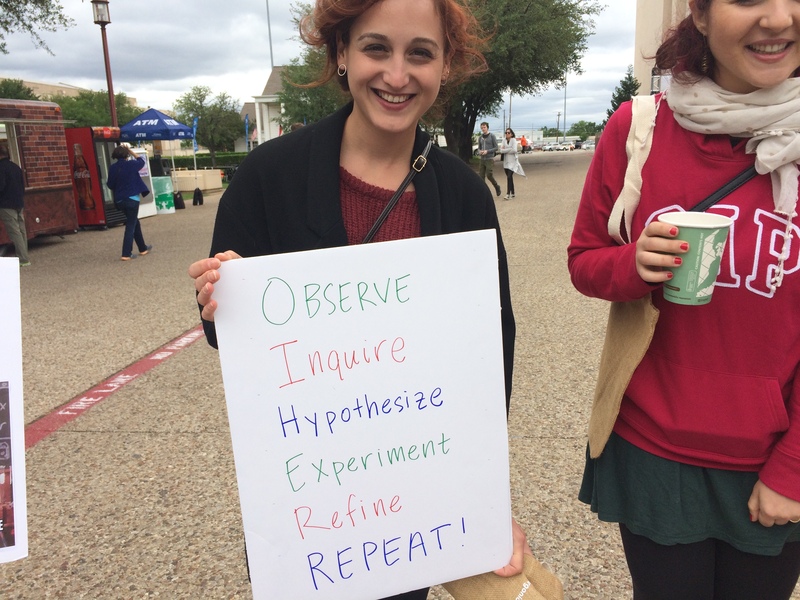 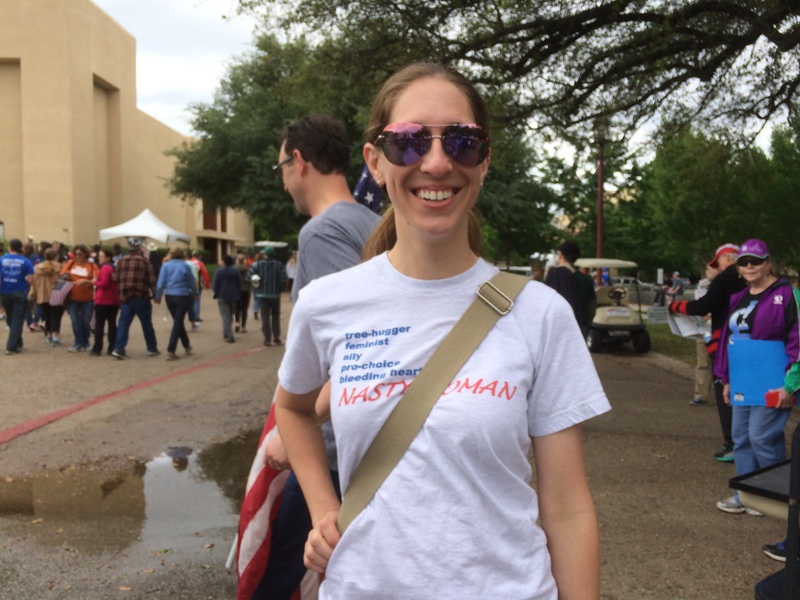 Though the March for Science Dallas had a wimpy ending, the sentiment continued through the day at Earth Day Dallas. 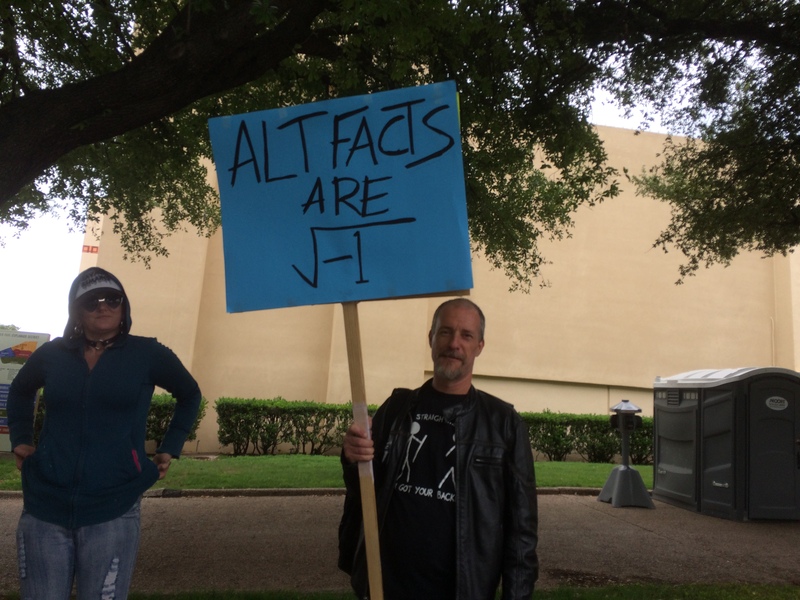 Signs and t-shirts from the march were everywhere. 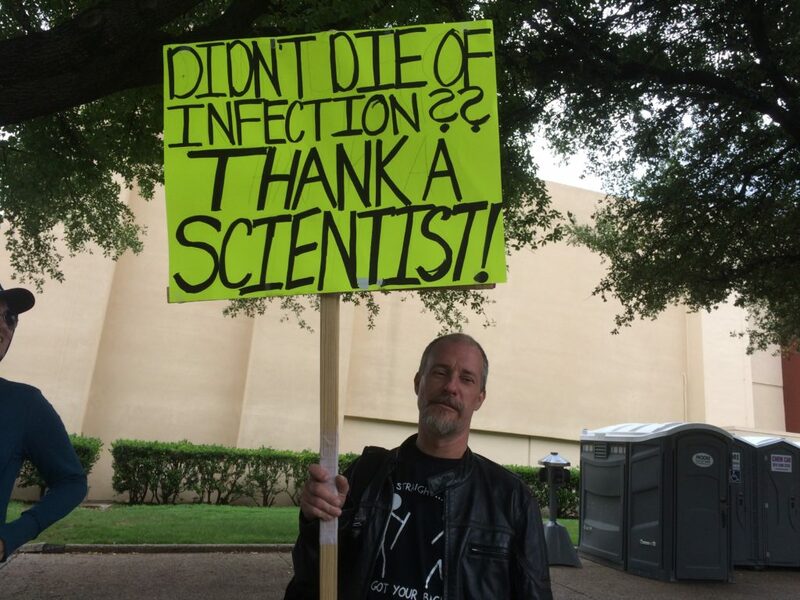 Now that’s some good outreach! 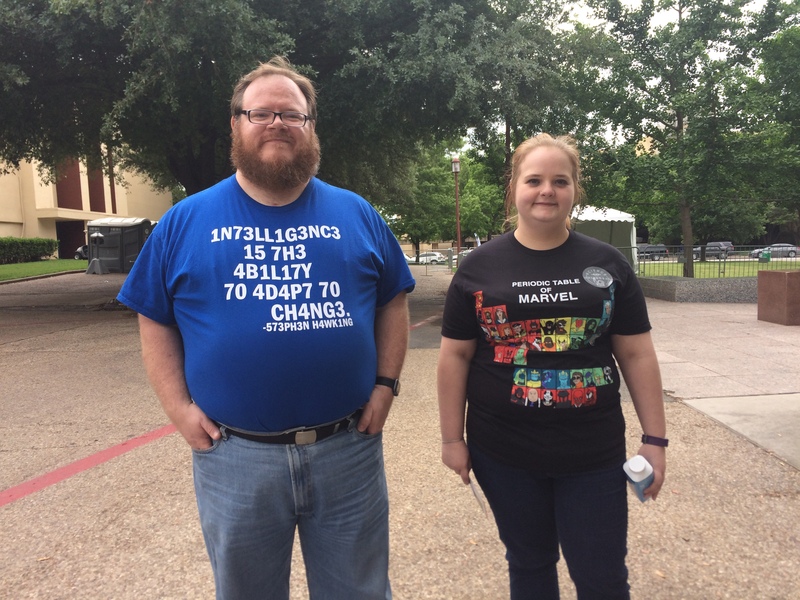 These guys greeted us after entry and were mega fun. 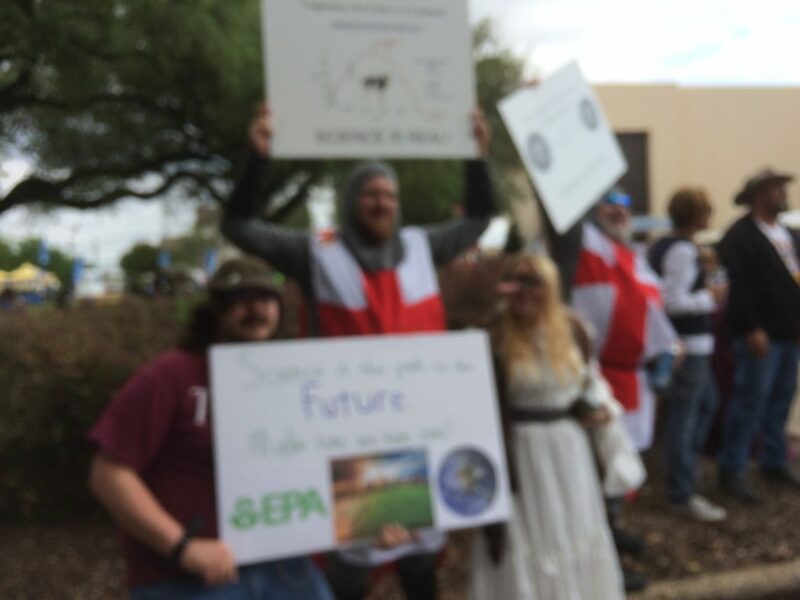 Wish the photos weren’t so fuzzy. 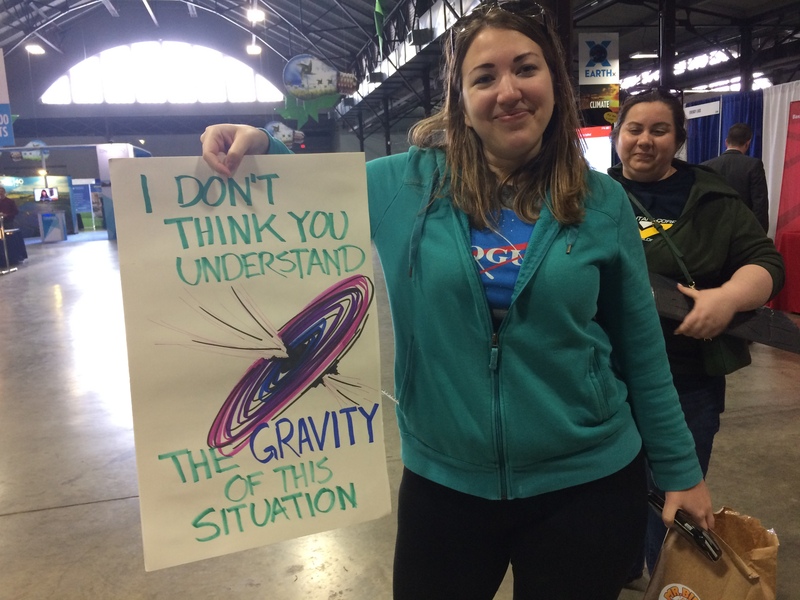 The sign is about cow catapulting. 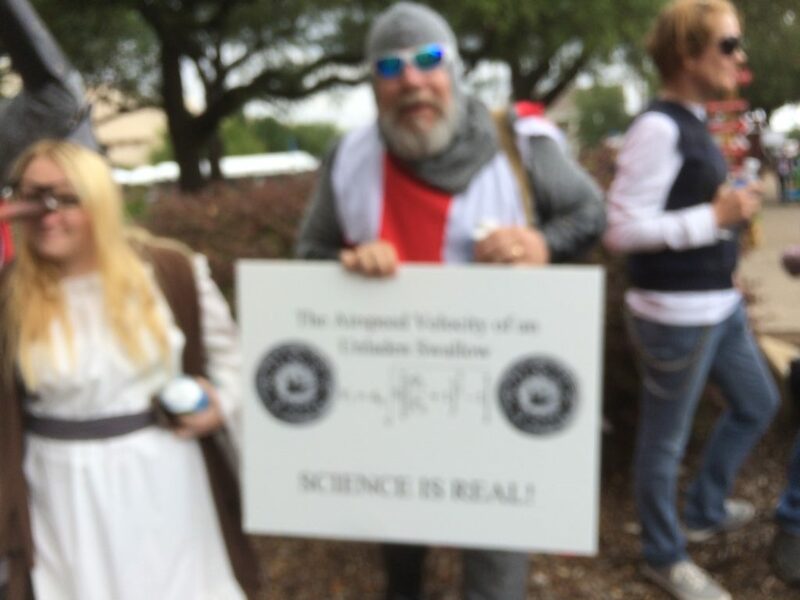 They were wearing chainmail! 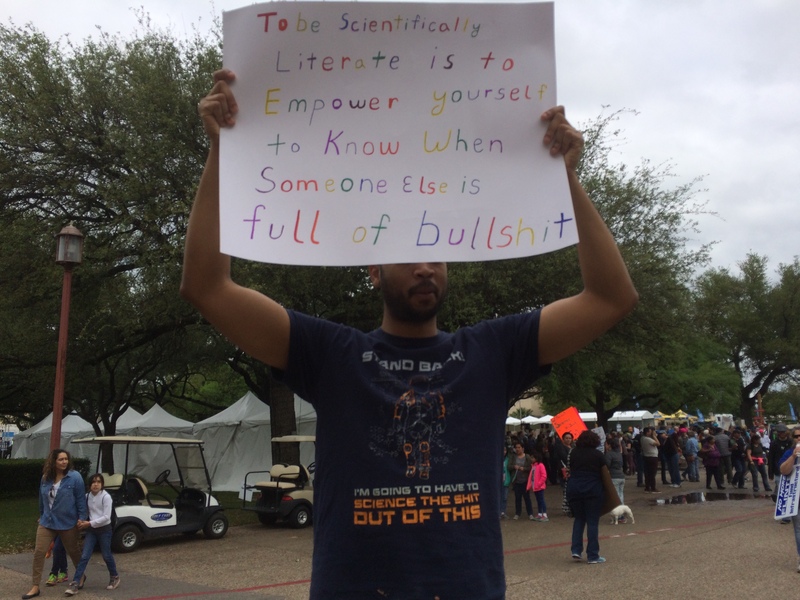 Science has been with us a long time. 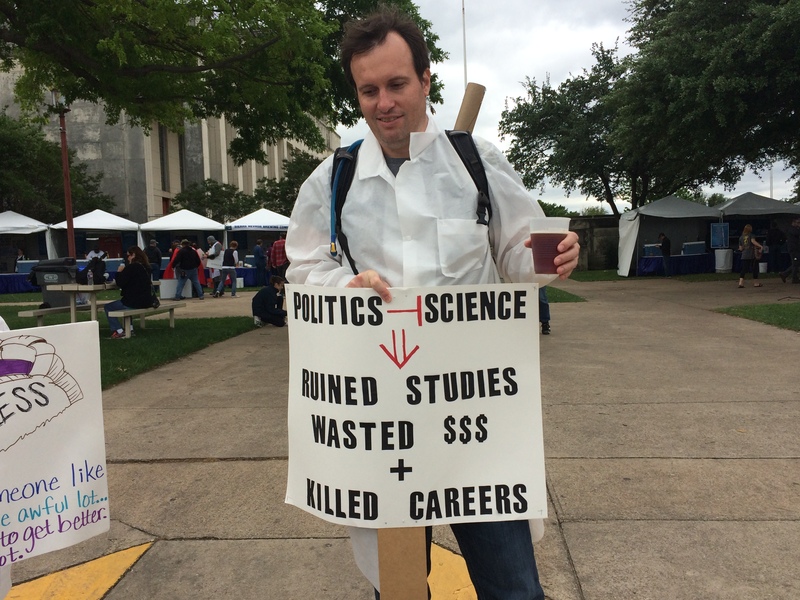 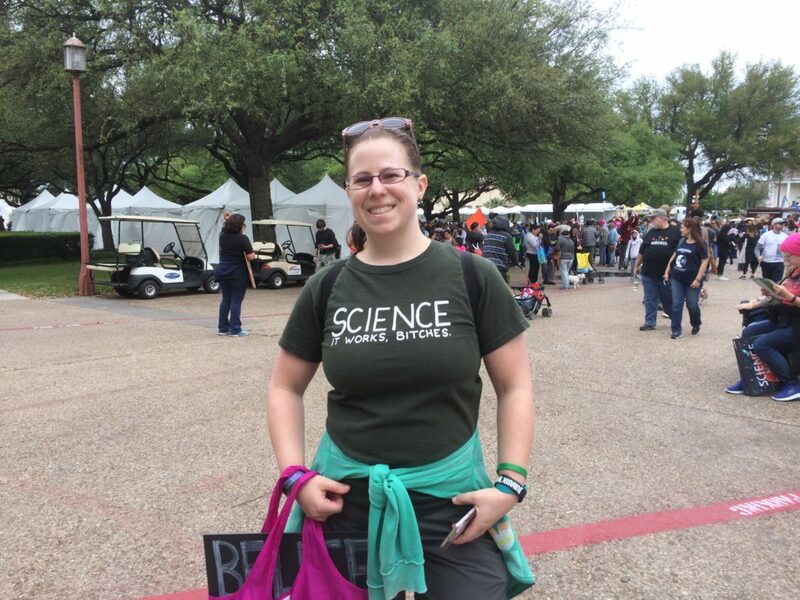 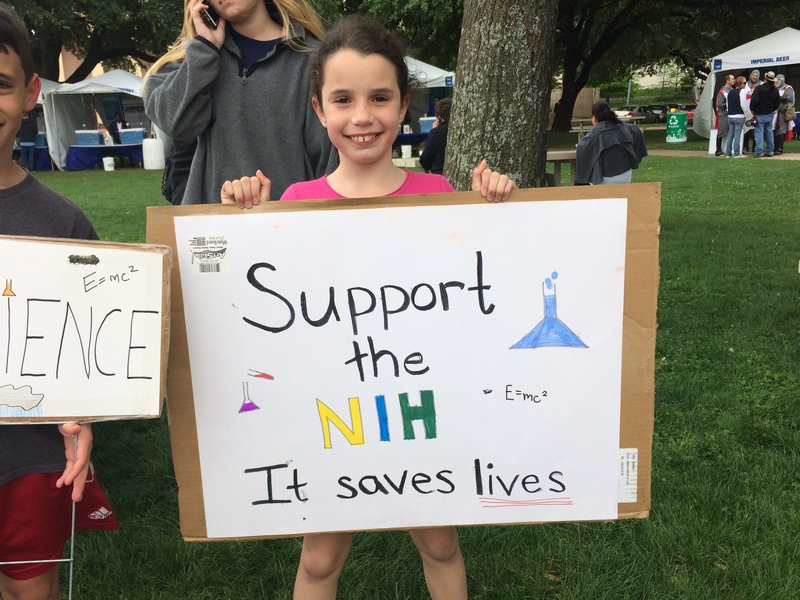 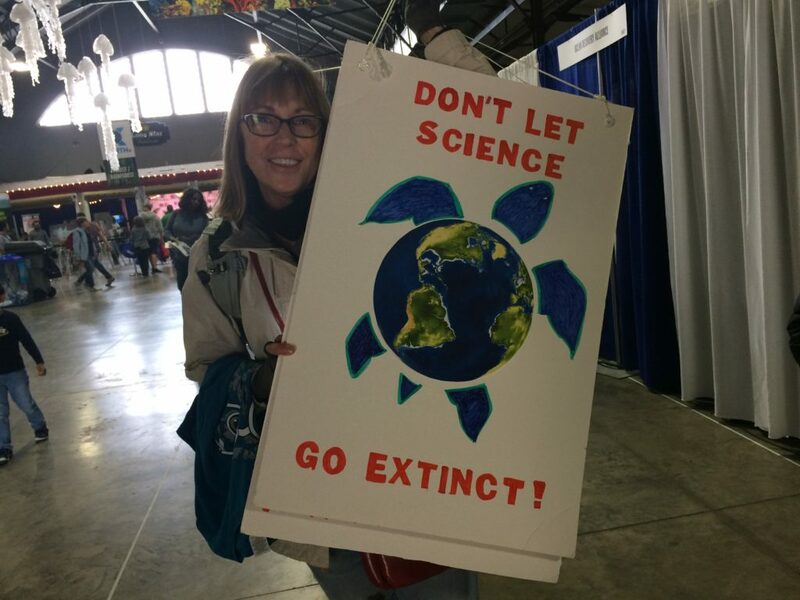 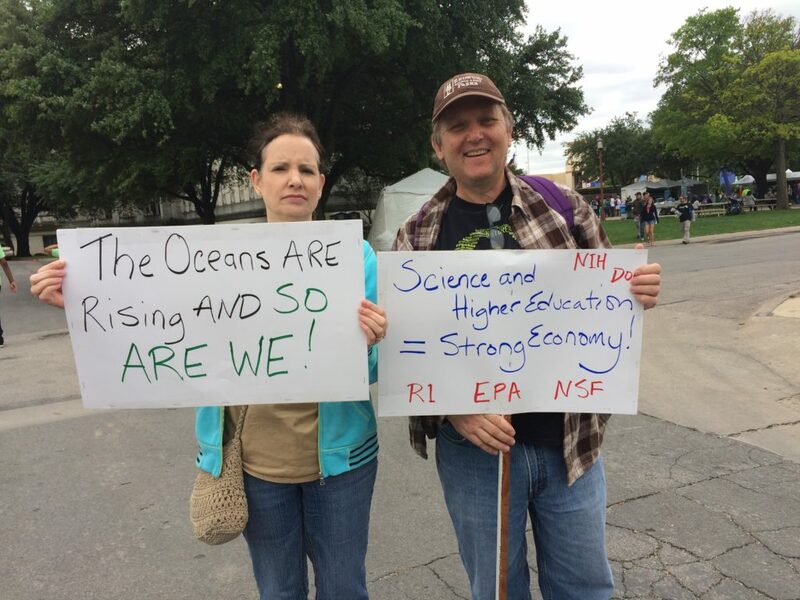 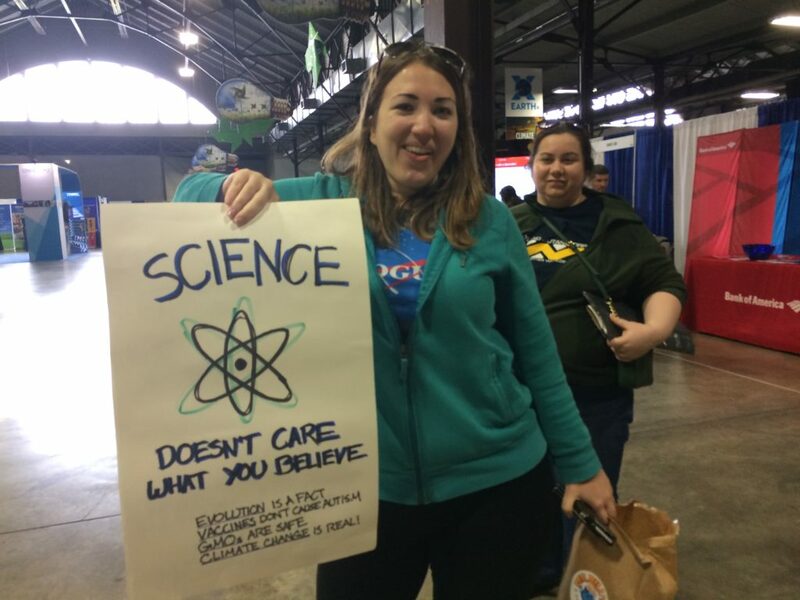 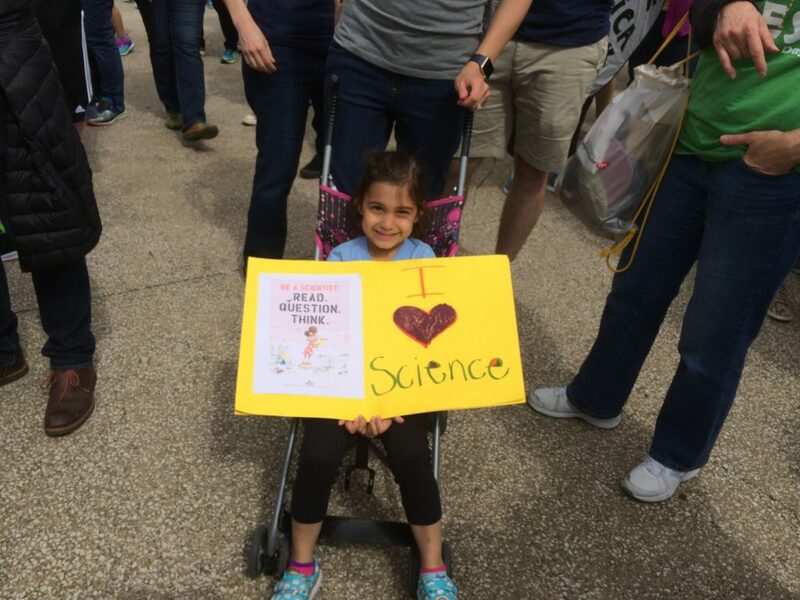 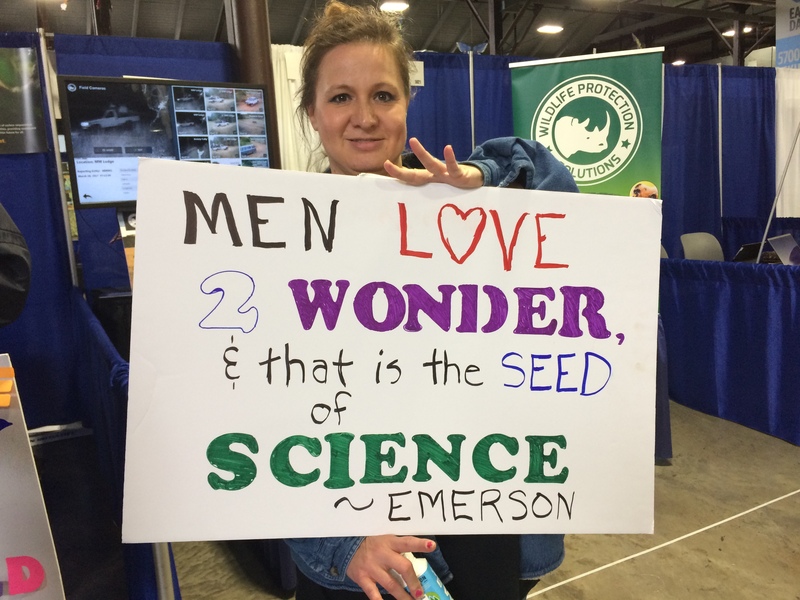 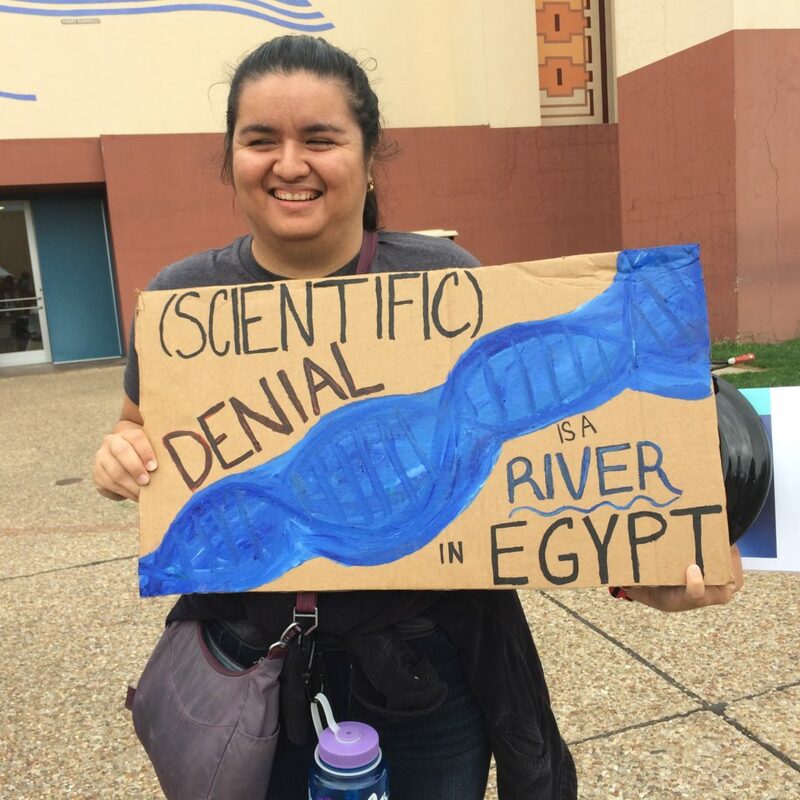 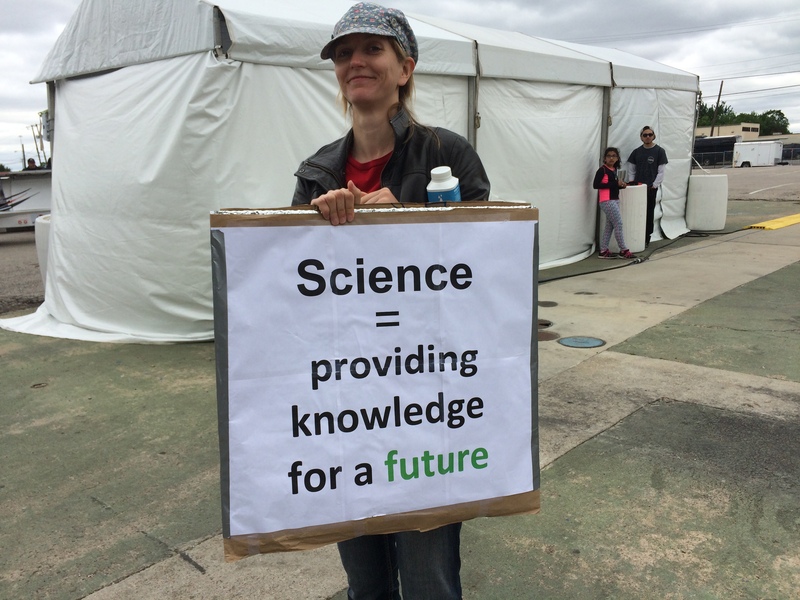 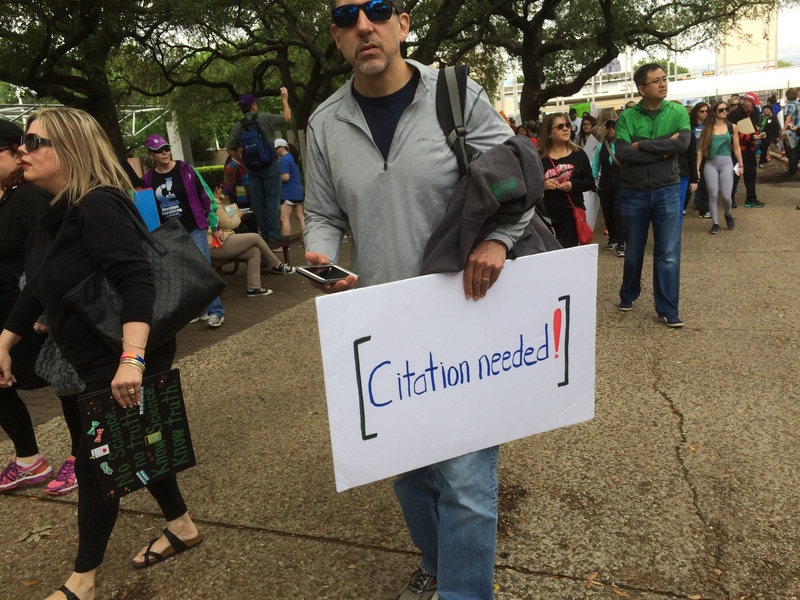 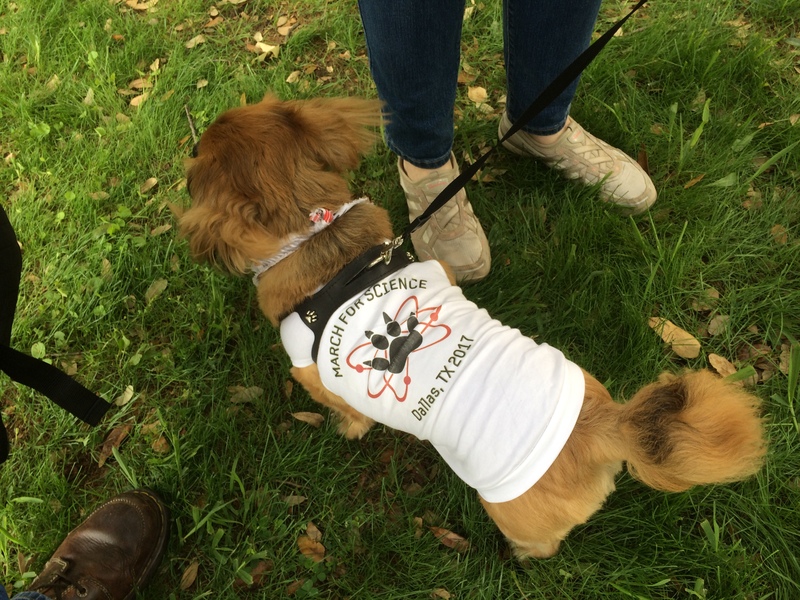 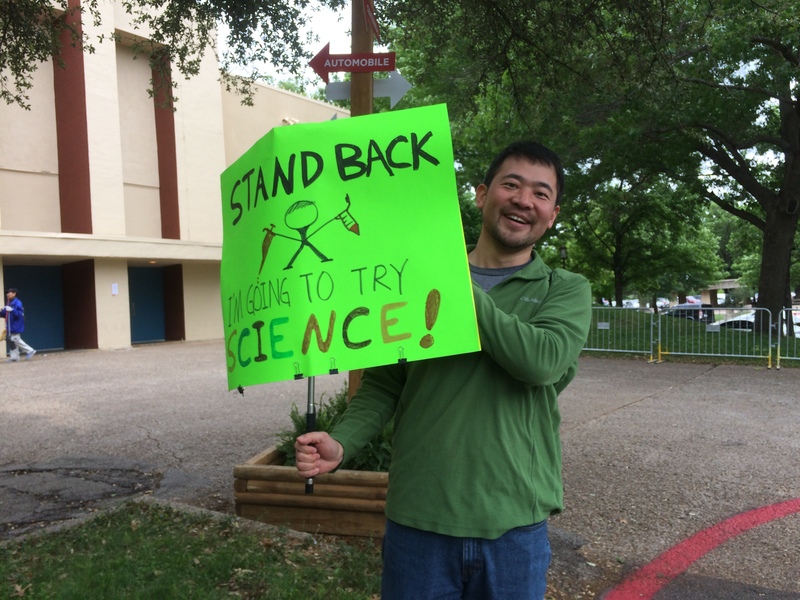 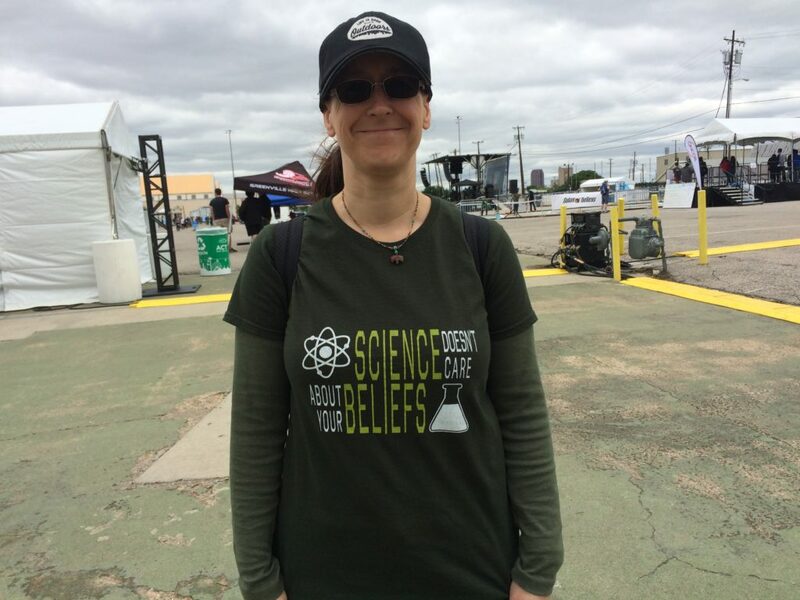 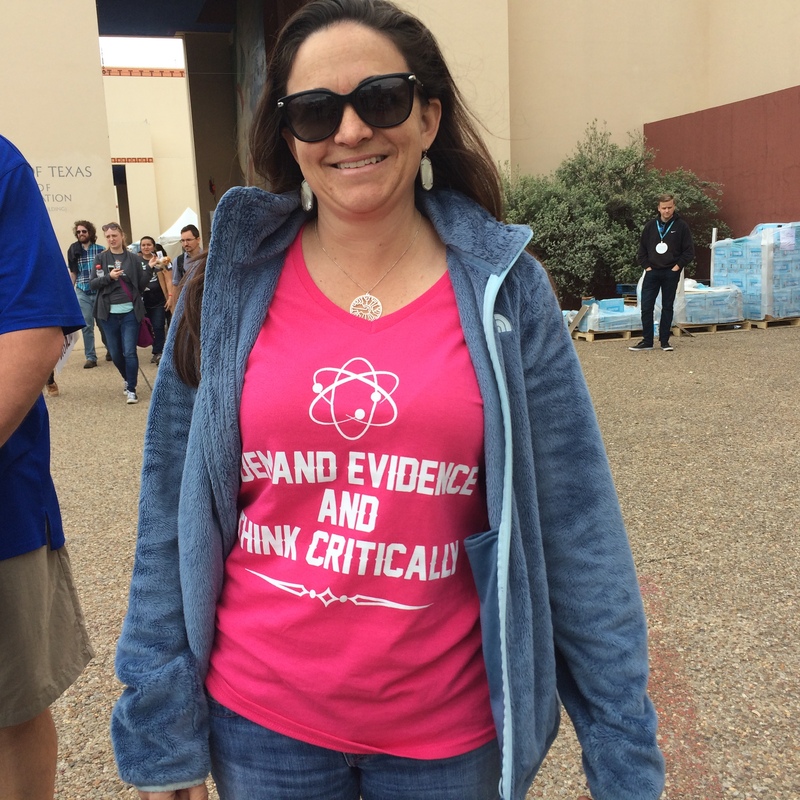 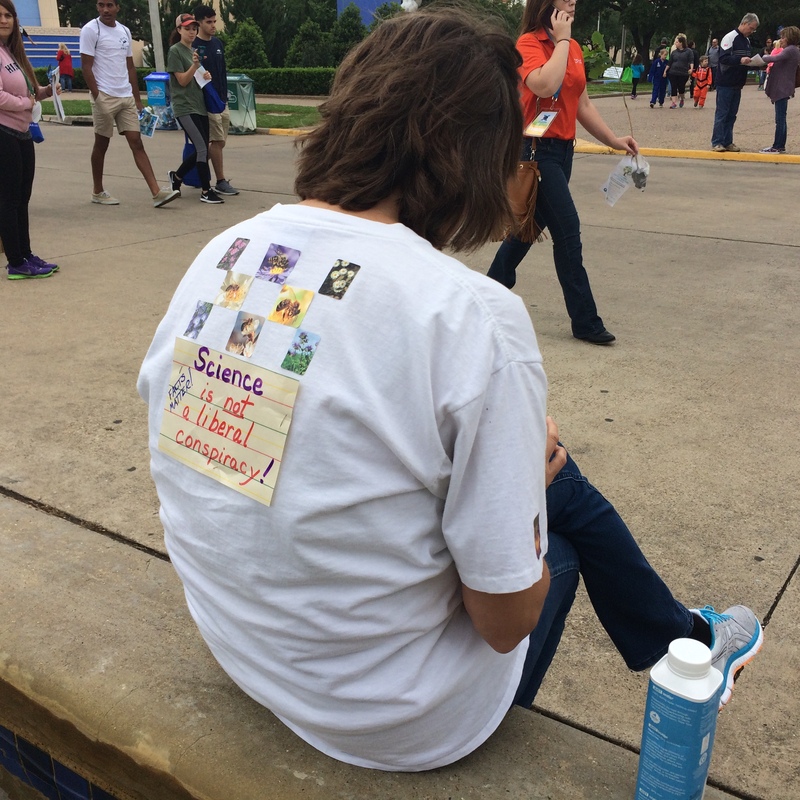 Science signs and t-shirts were prominent throughout the event grounds all afternoon long. 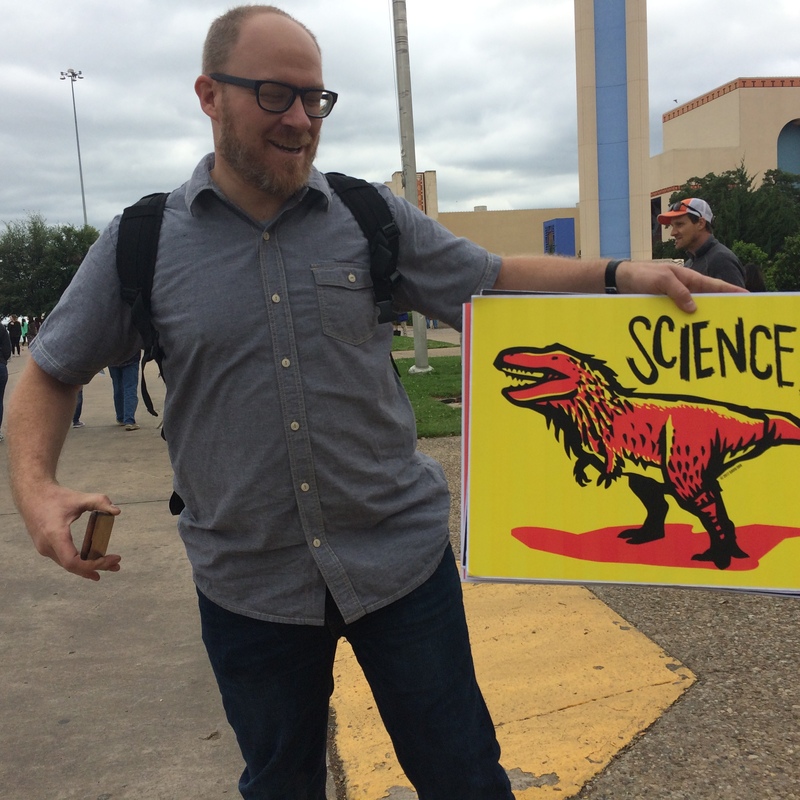 This was our Deep Ellum dinosaur. 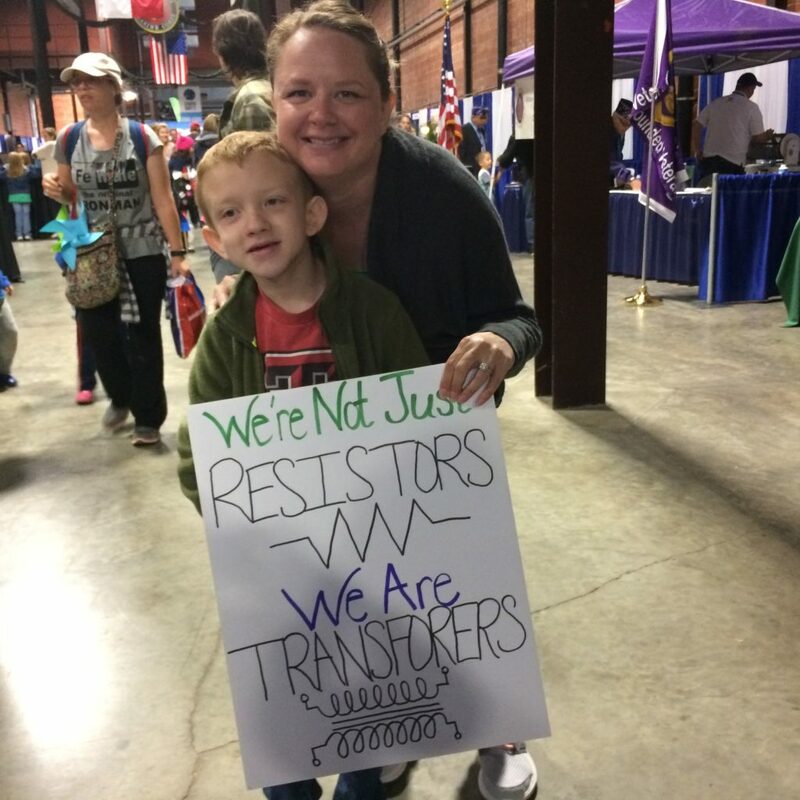 She was still tuckered from dragging that costue around. 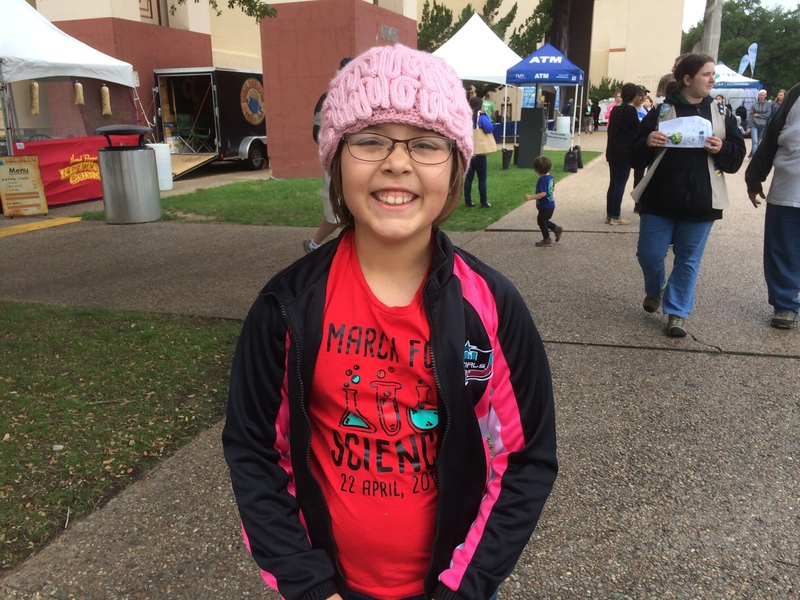 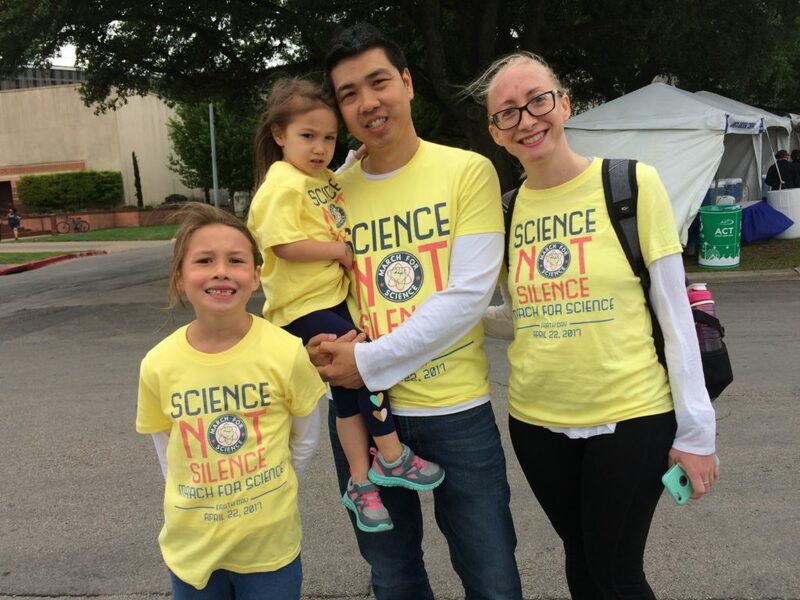 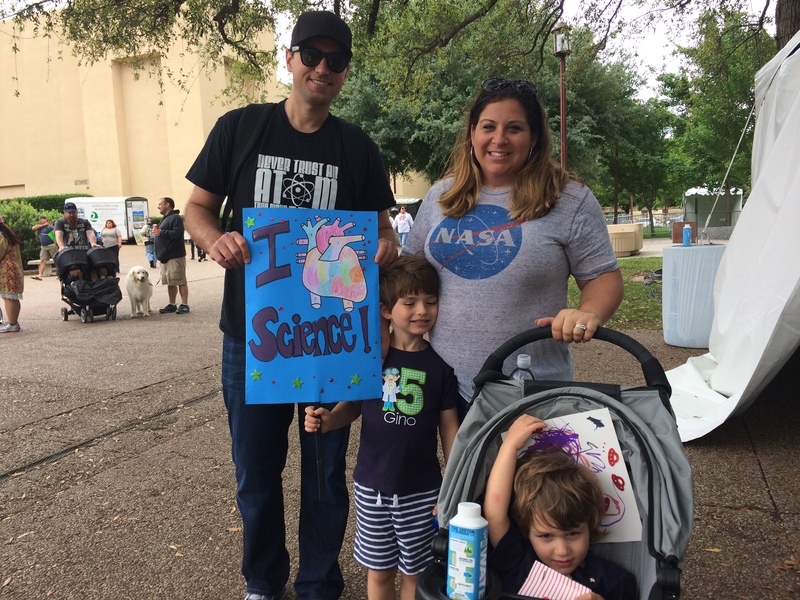 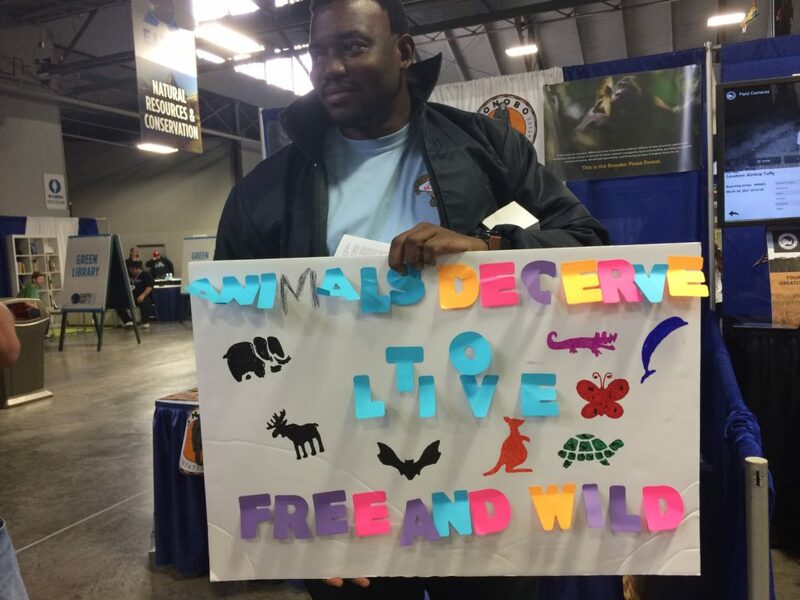 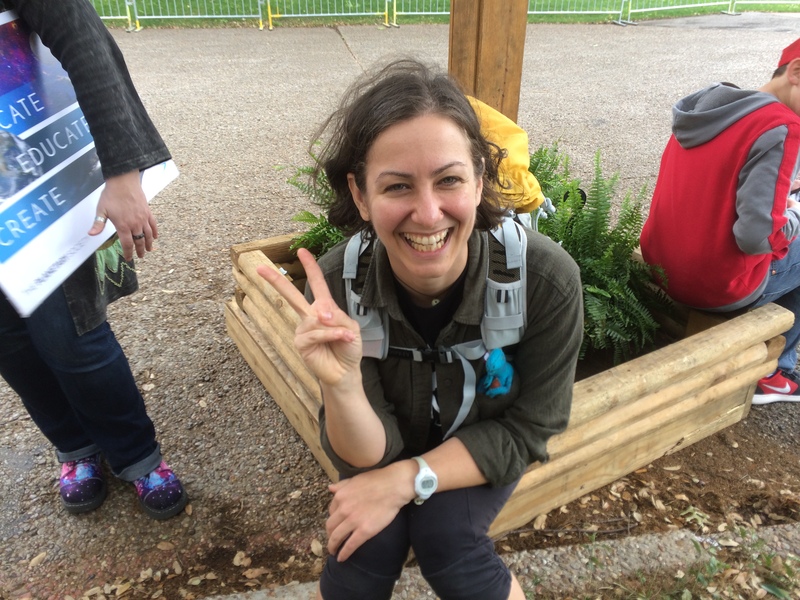 Science families had a grand time at Earth Day Texas. 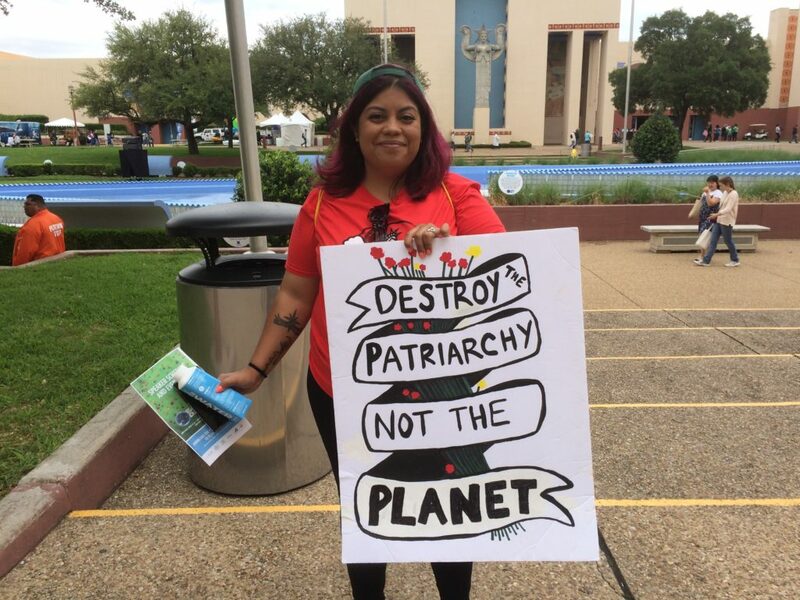 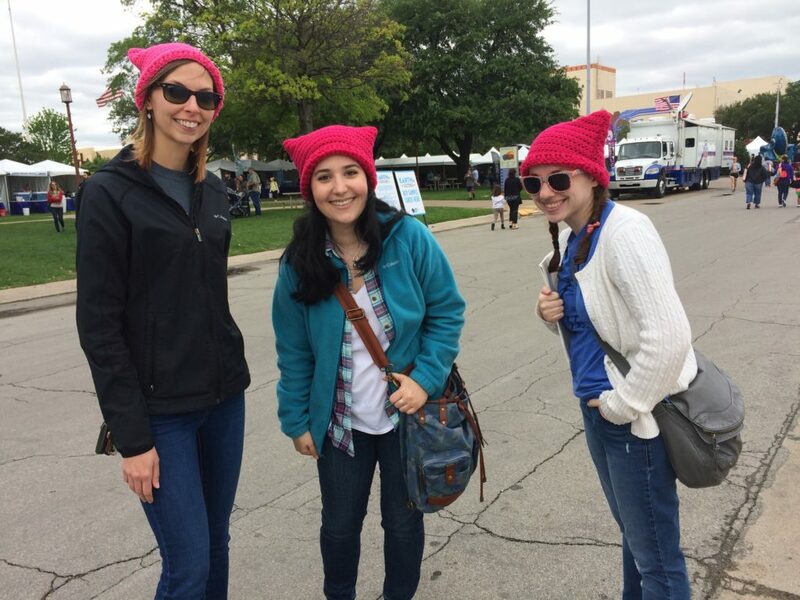 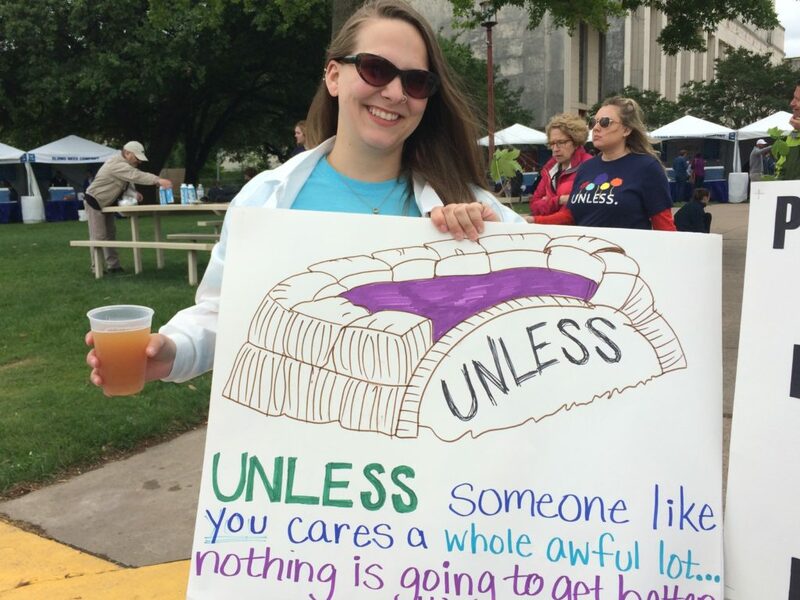 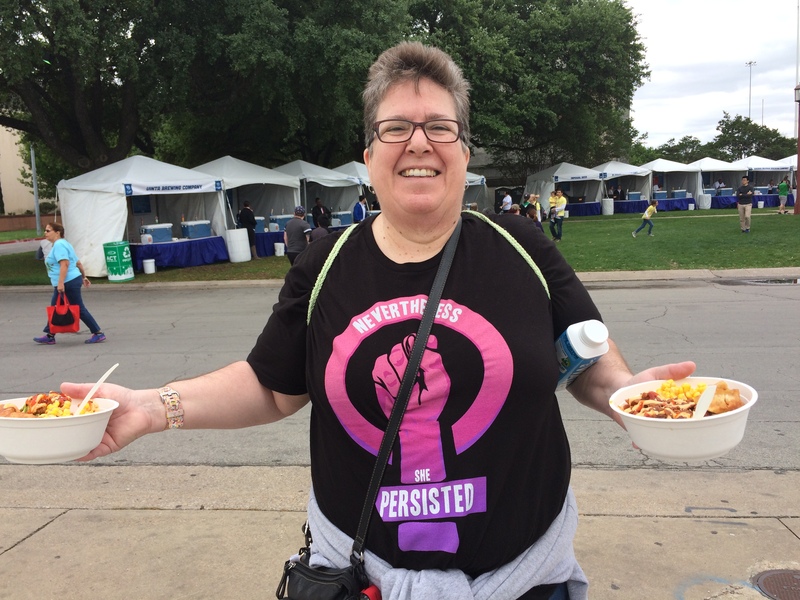 Some lively feminism swirled around the march. 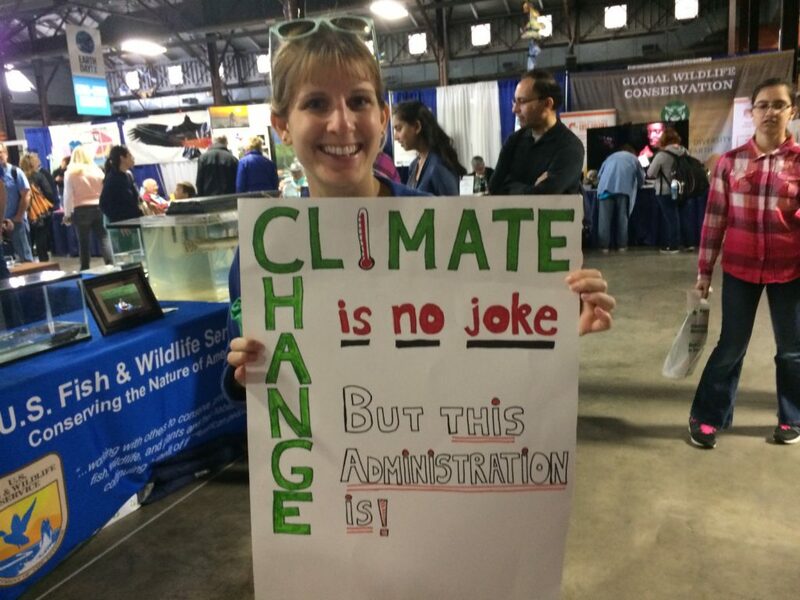 Preservation of the planet and the administration’s assault on environmental science was a big theme. 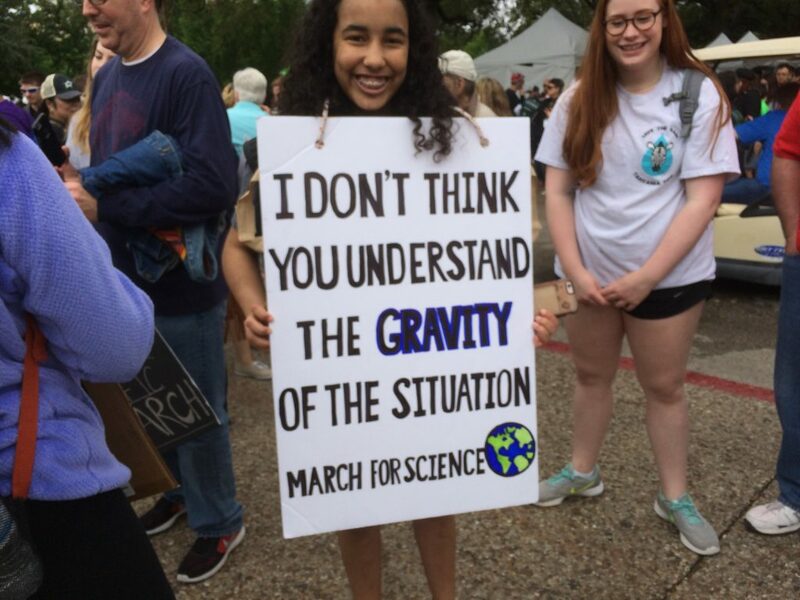 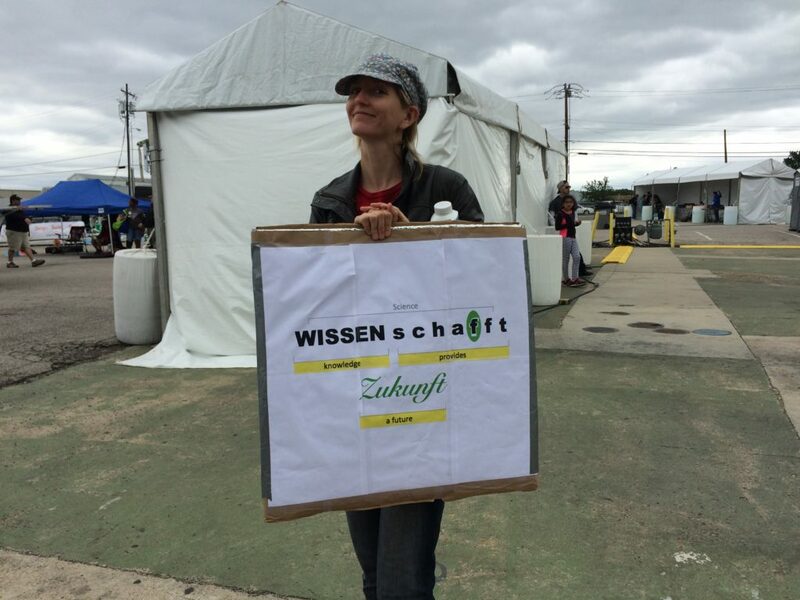 Her sign was also in German! 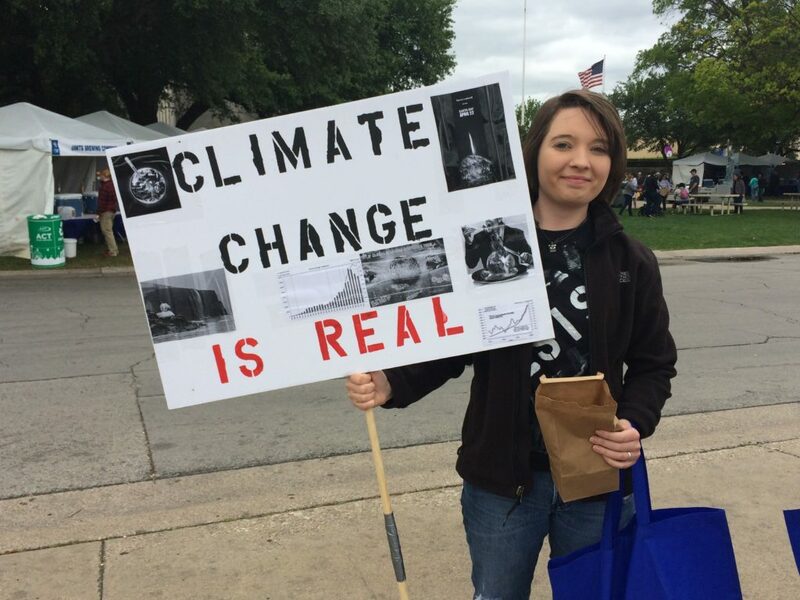 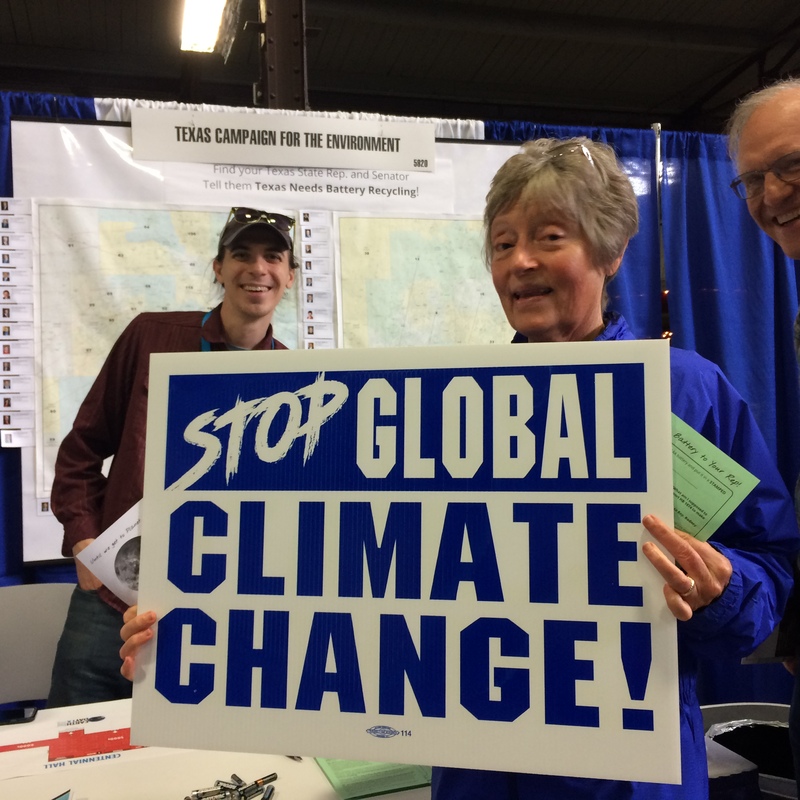 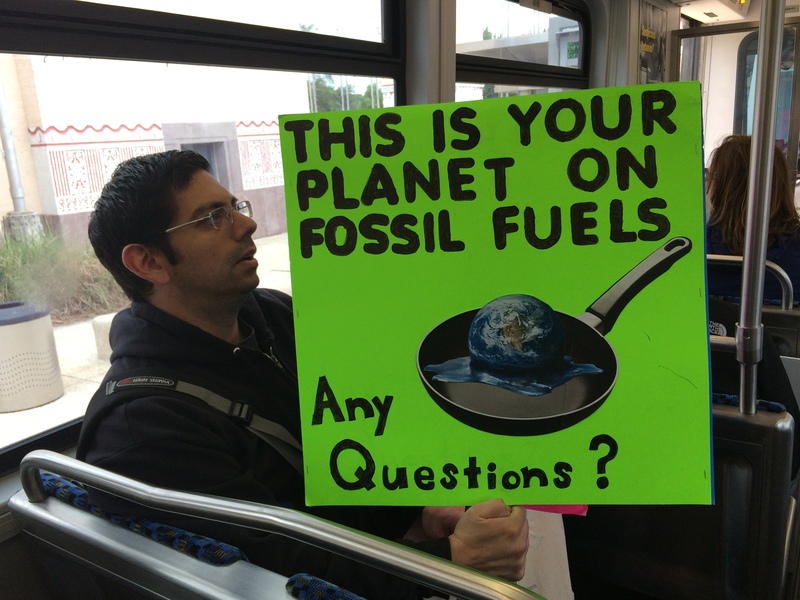 Climate change was foremost on people’s minds. 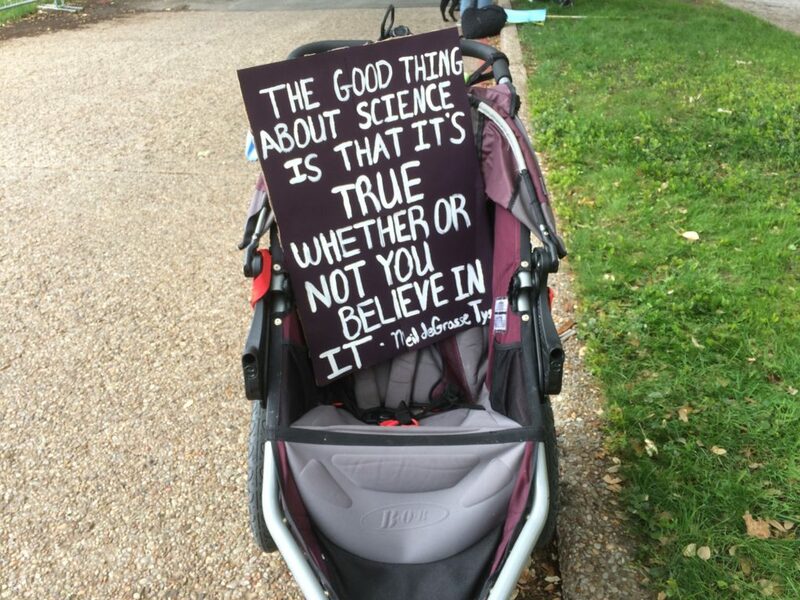 Get active, get loud, get after it! A t-shirt is a walking sign. 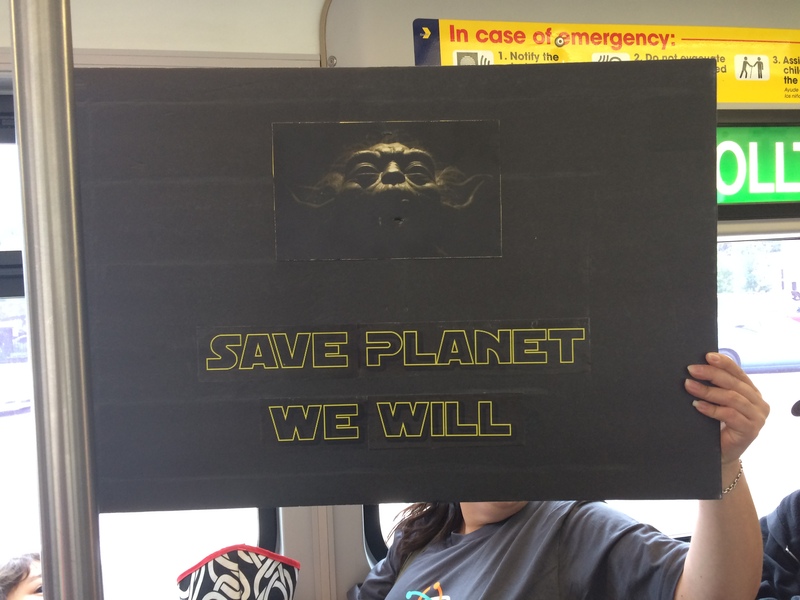 A few more signs on the DART train home. 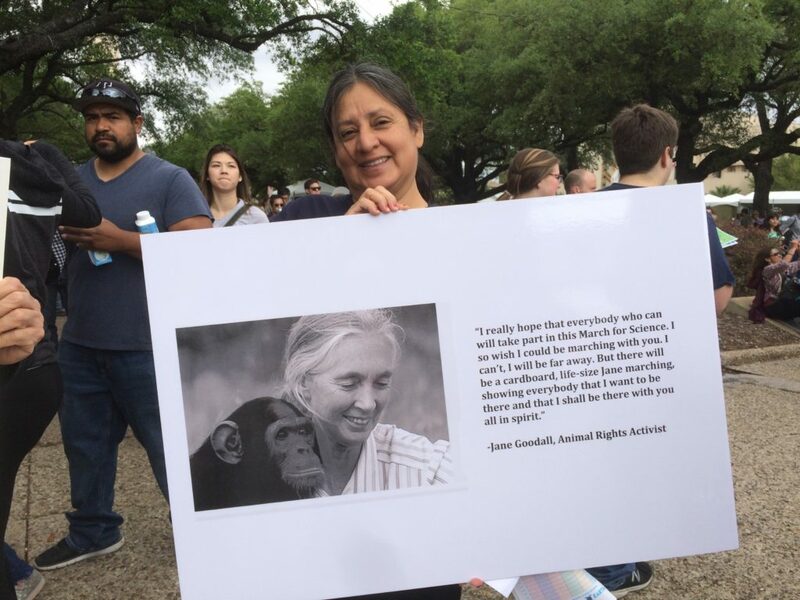 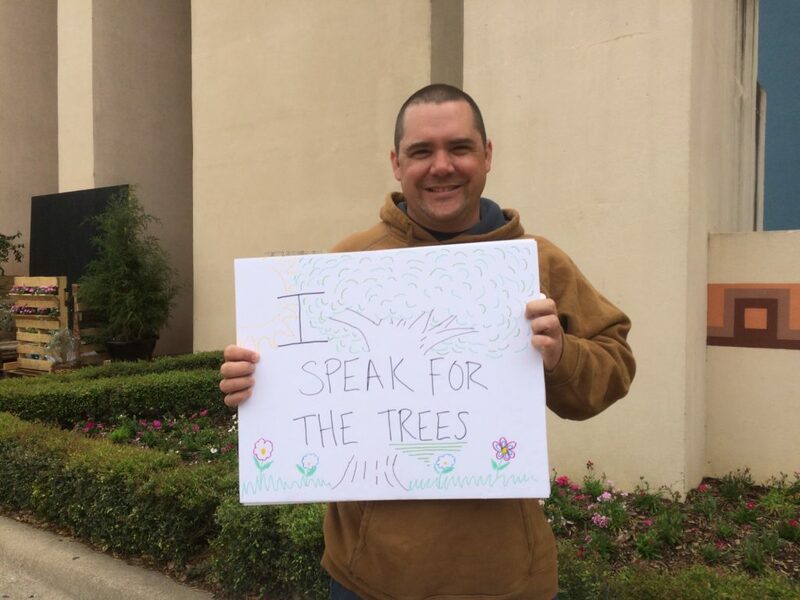 Thanks for reading this from your photojournalist Amy Martin and webmaster Scooter Smith.